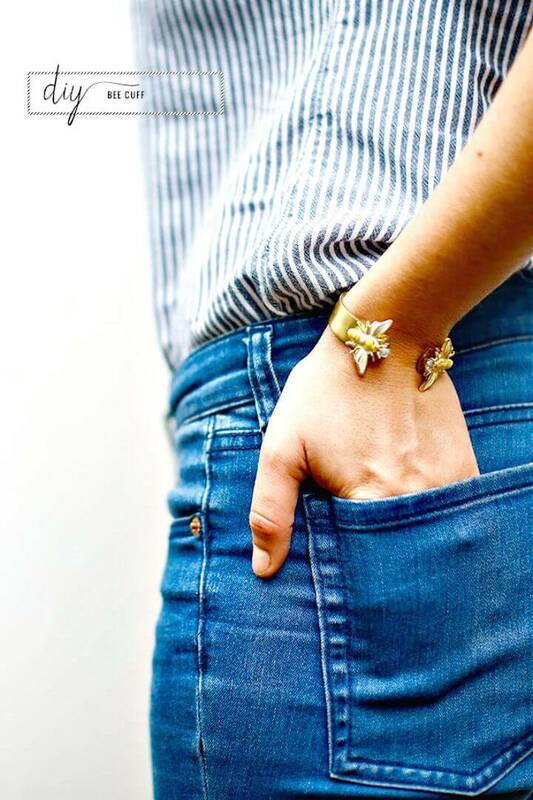 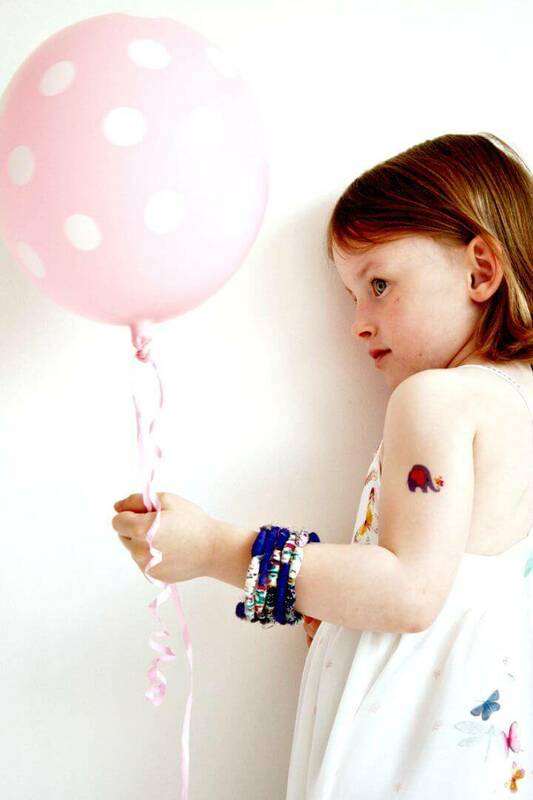 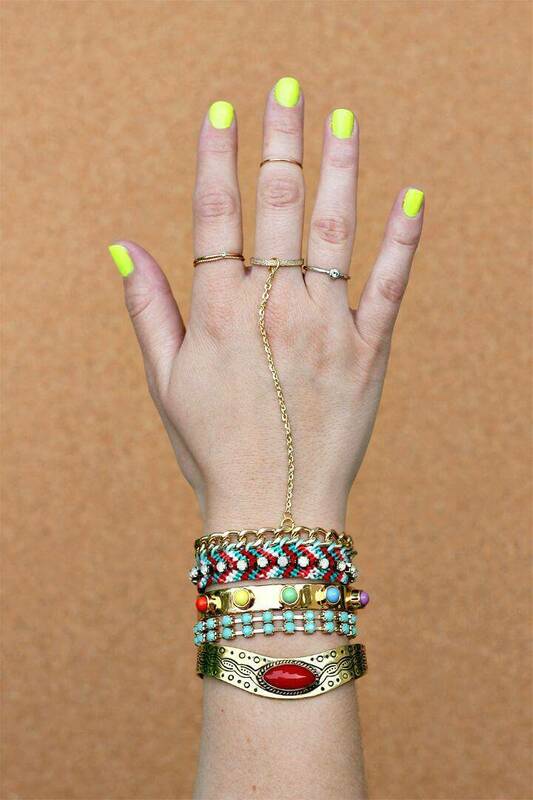 Personal adornments are of the affairs that all style lovers take seriously! 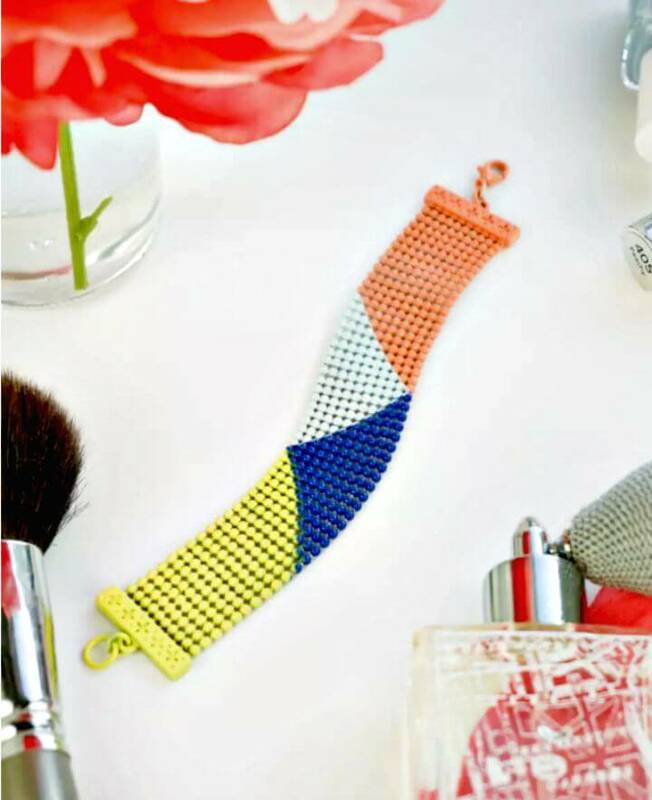 The fashion enthusiasts can mostly be seen busy in conversations about the latest fashion trends, the new jewelry designs and also about how to gain unique and bigger fashion statements! 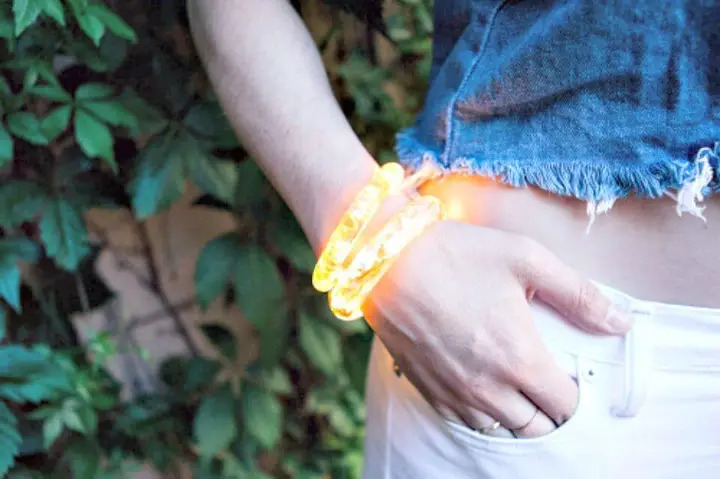 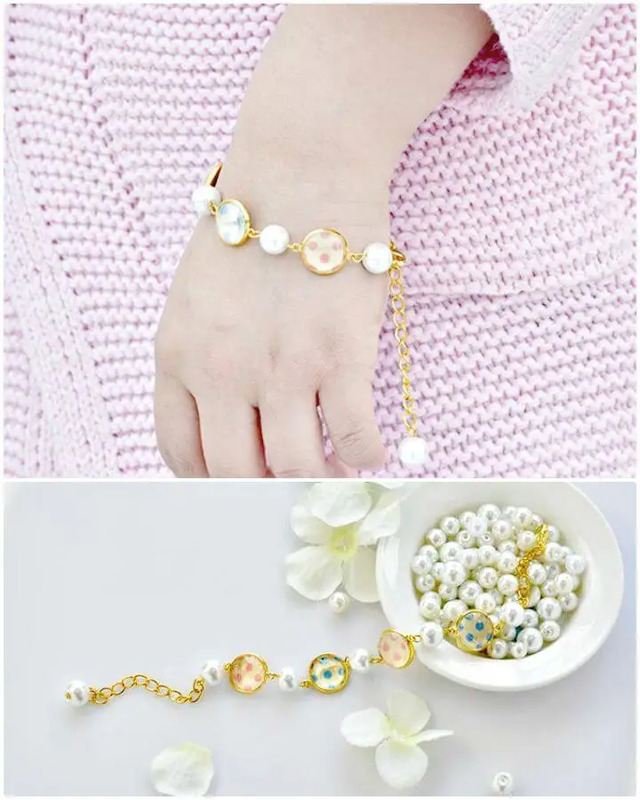 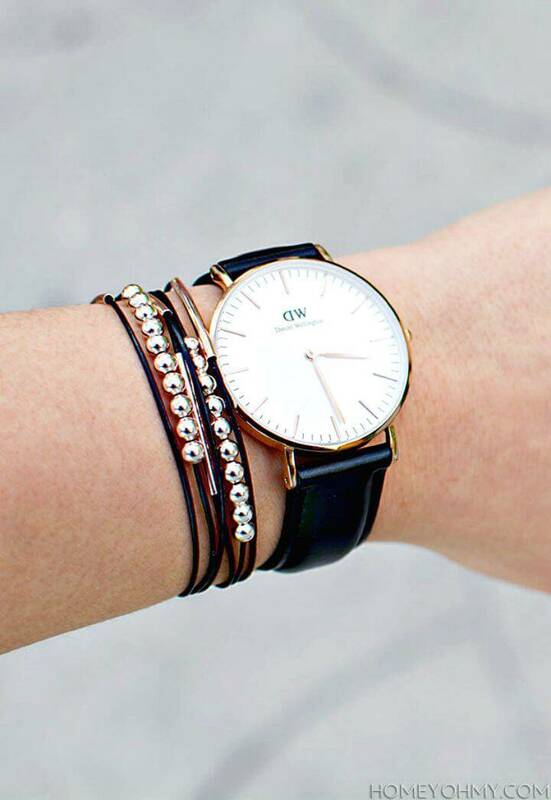 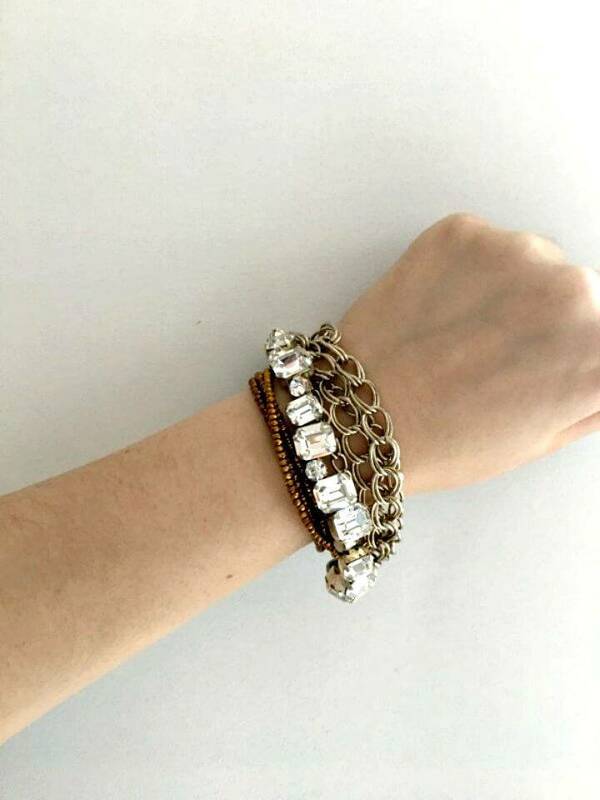 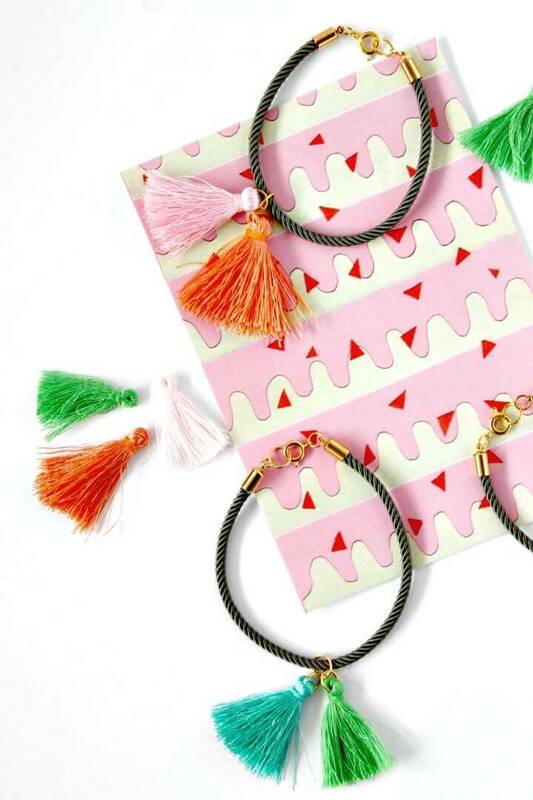 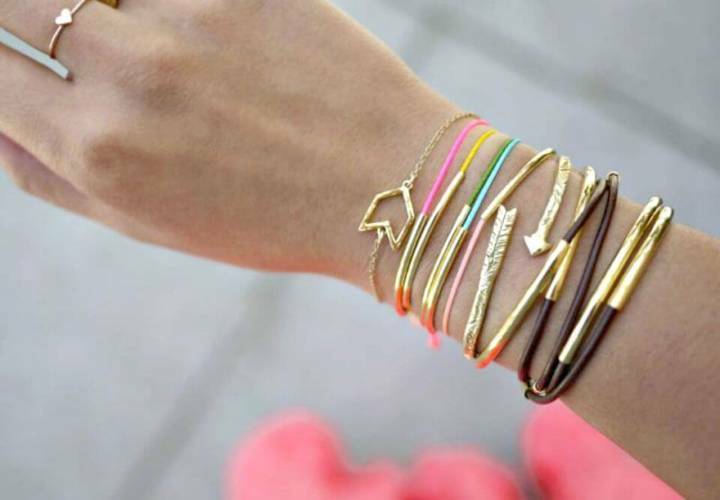 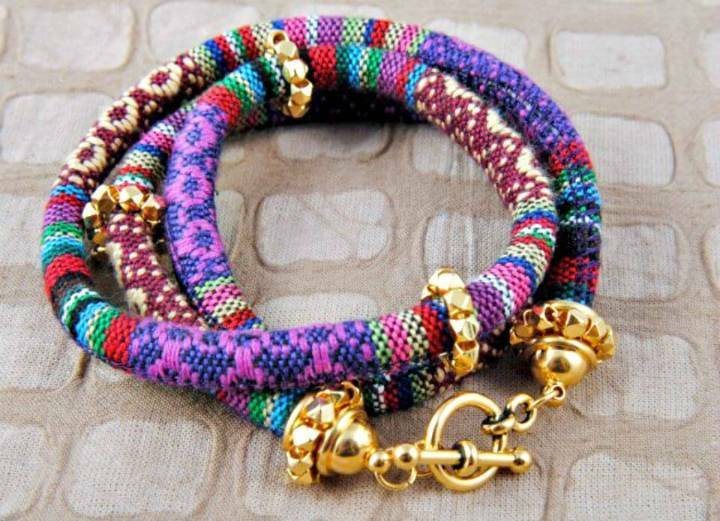 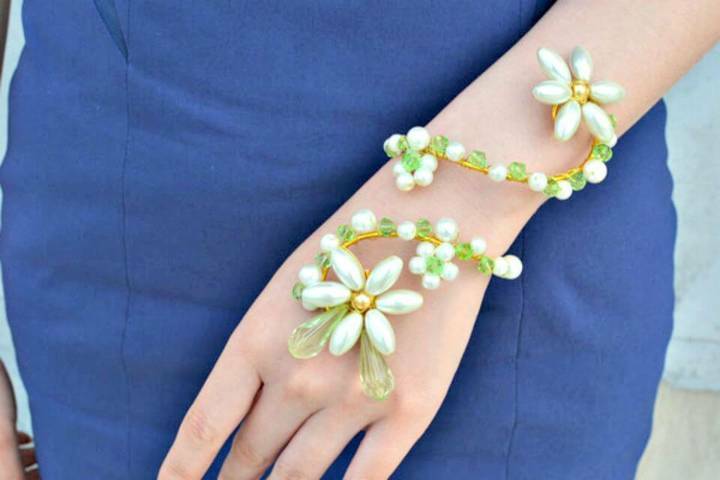 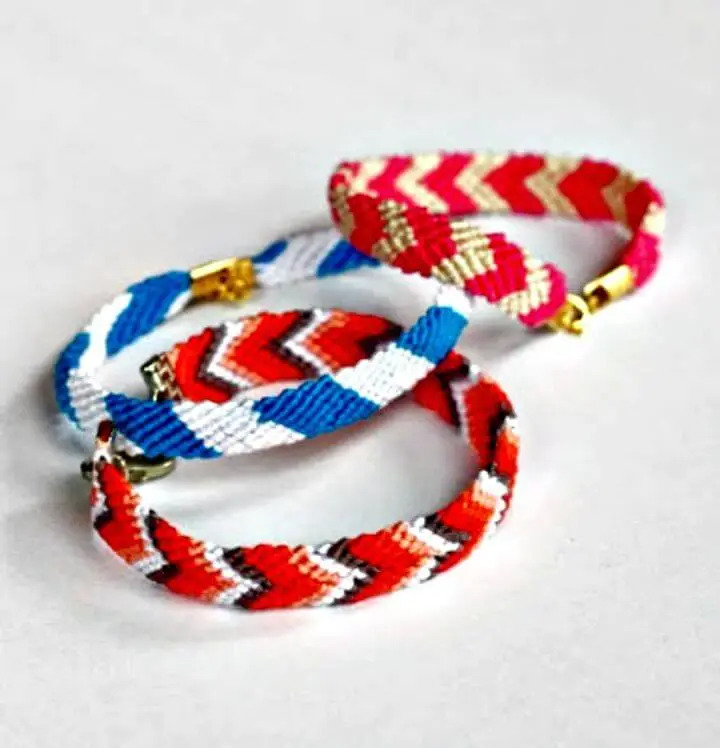 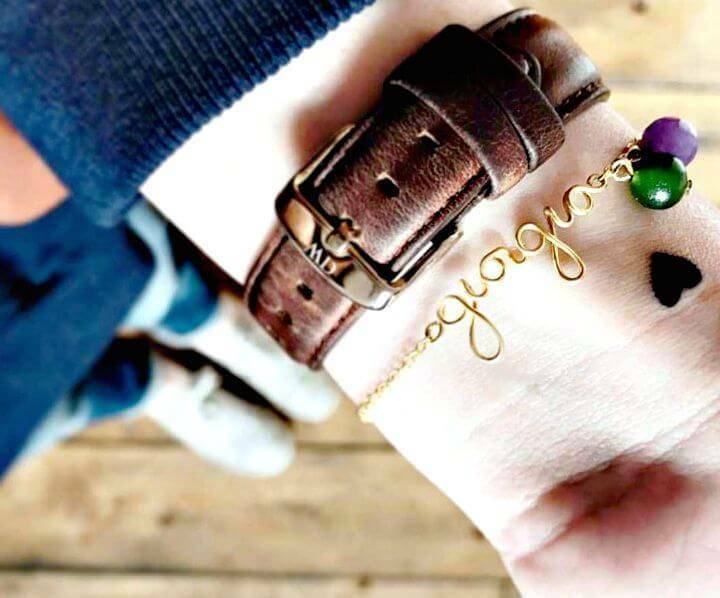 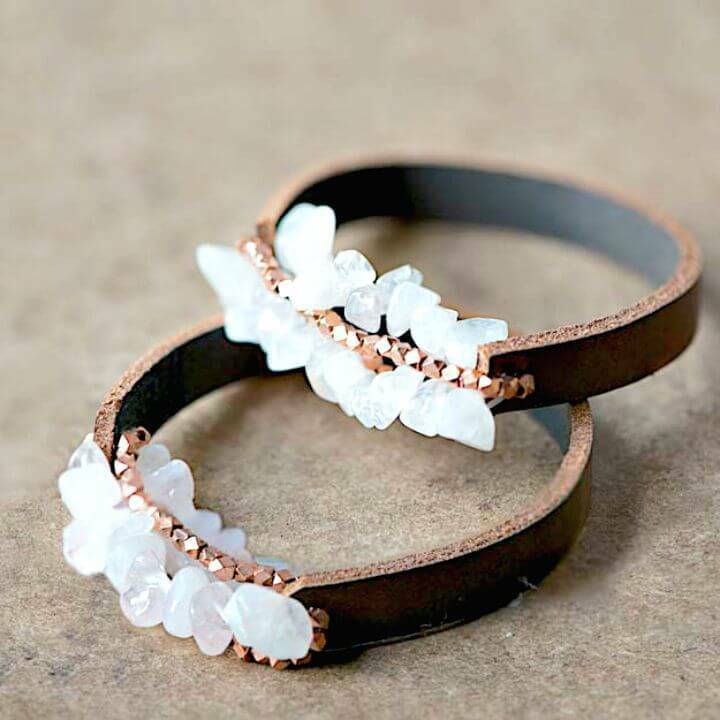 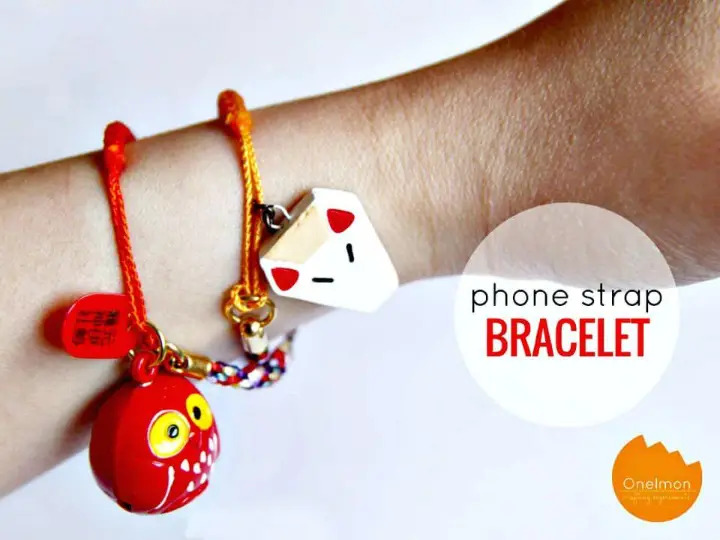 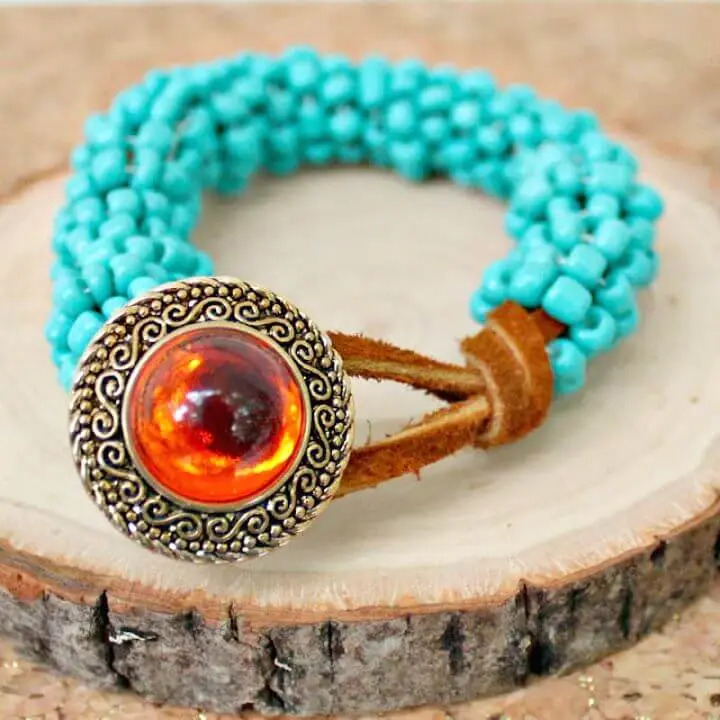 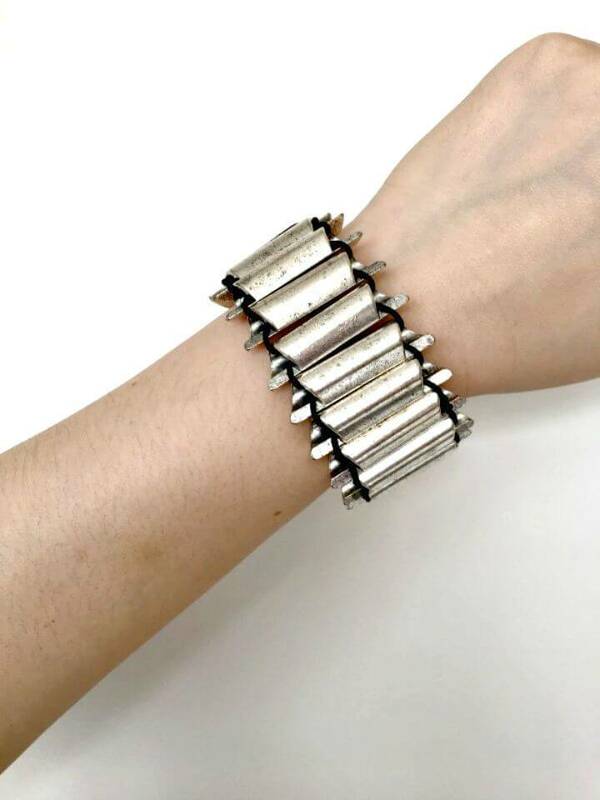 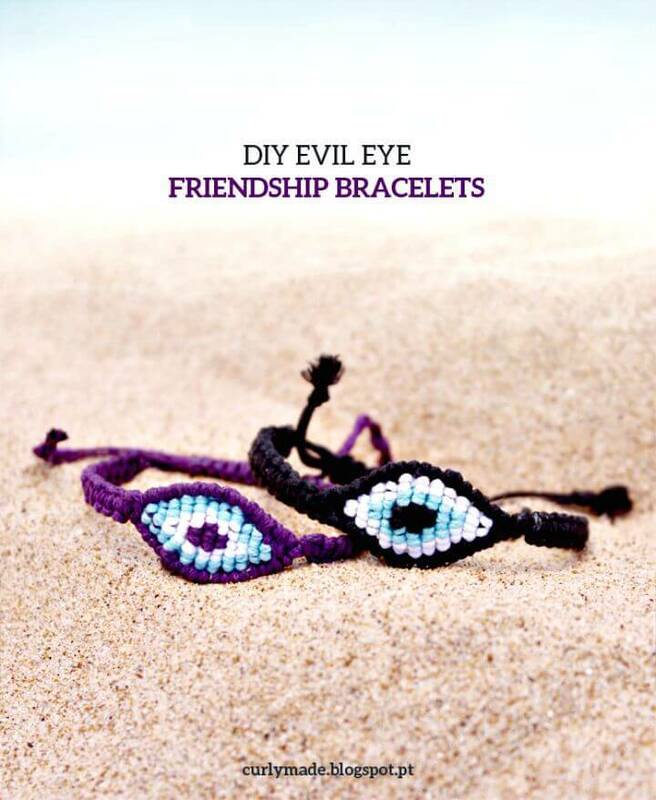 However, if you are to talk about the fashion jewelry then you just can’t overlook the DIY bracelets that are mostly to wear as forearm jewelry or charm and their various custom designs can be used to boost your fashion and style also! 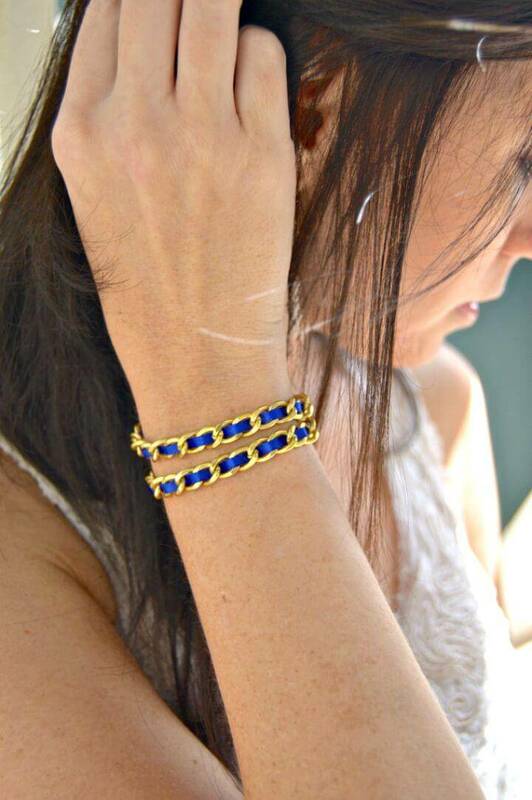 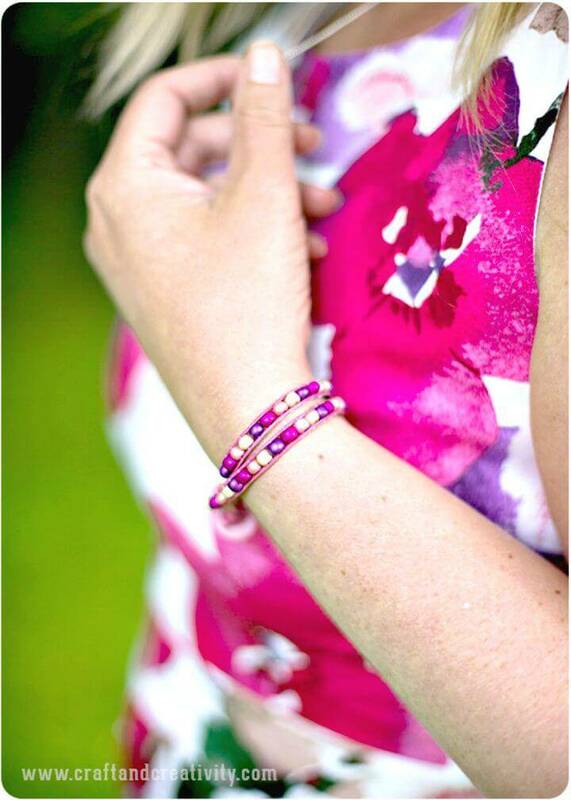 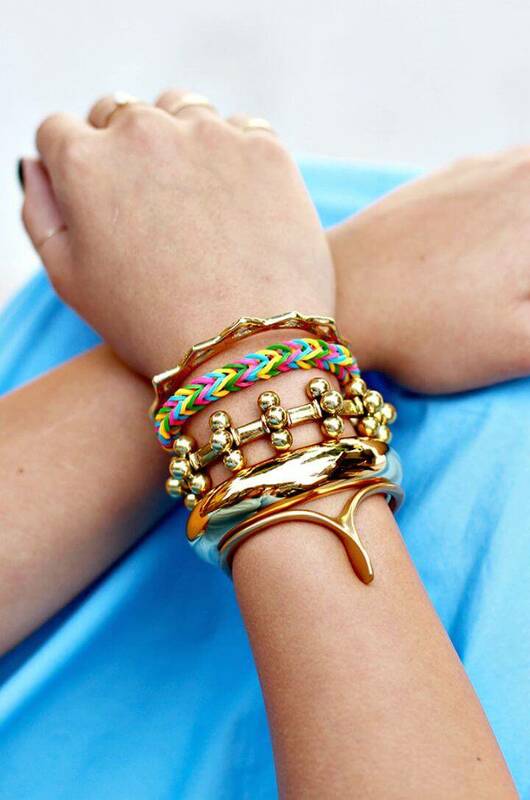 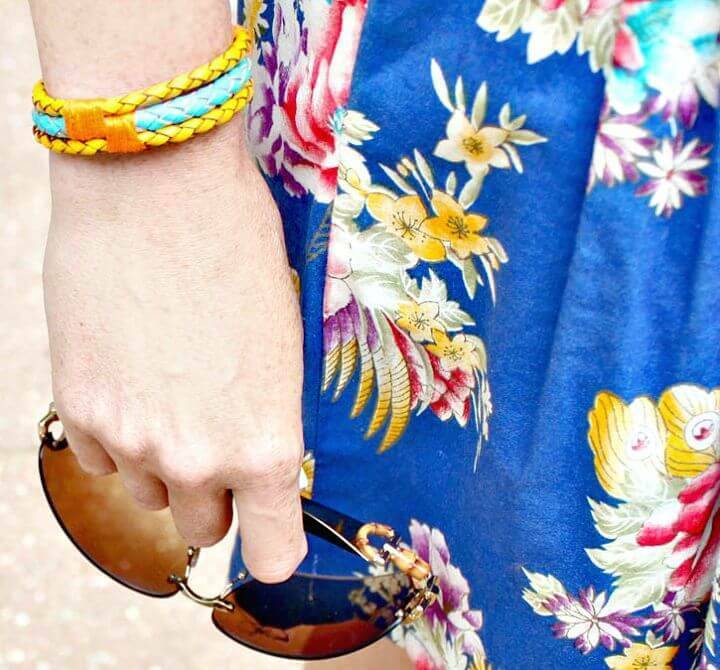 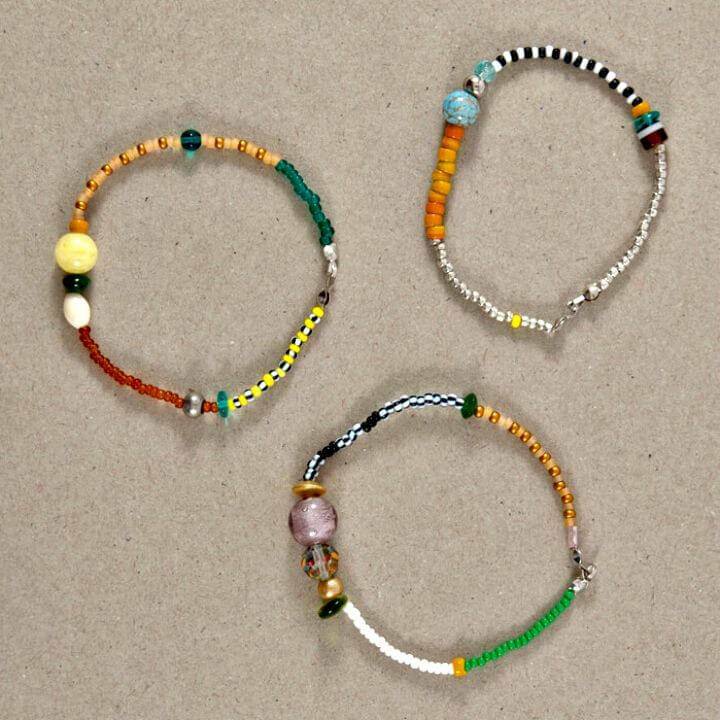 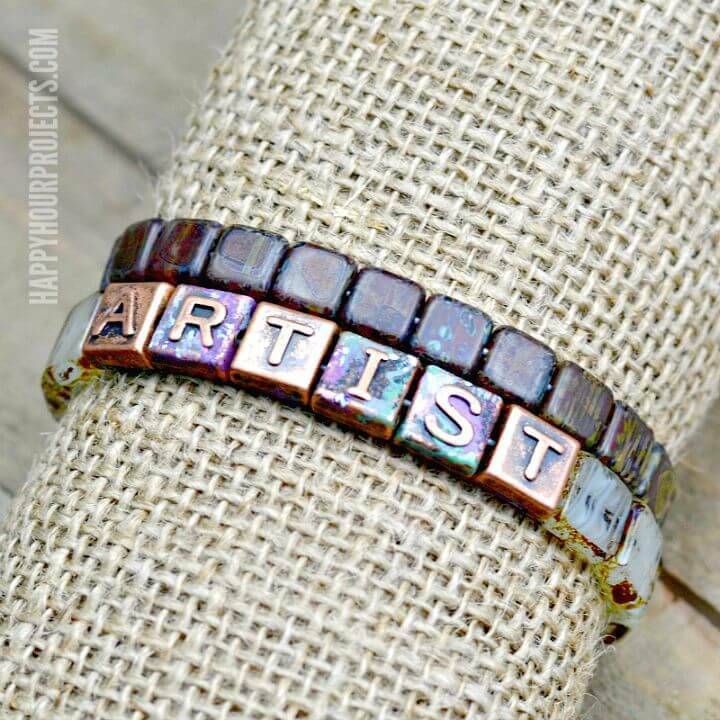 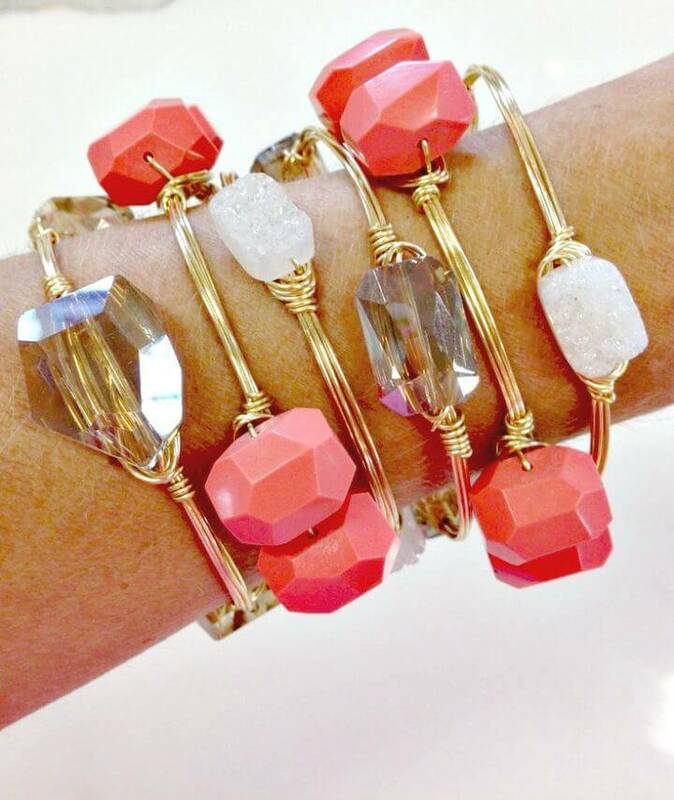 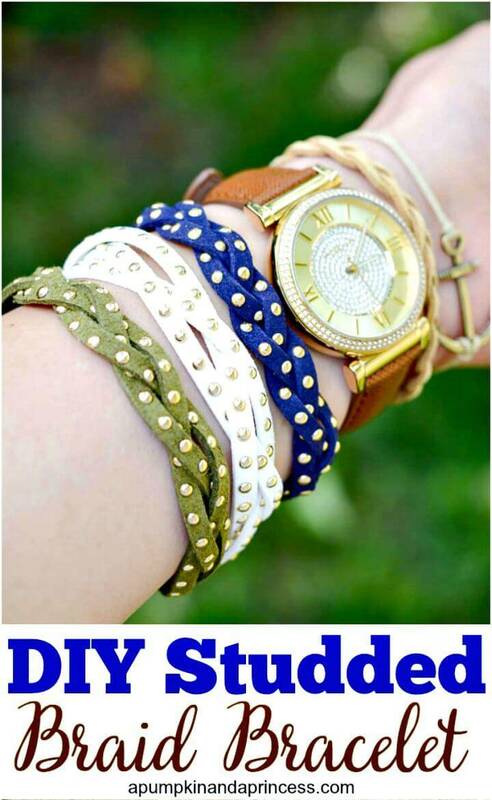 Bracelets are one of the most worn jewelry items that are equally popular in both genres! 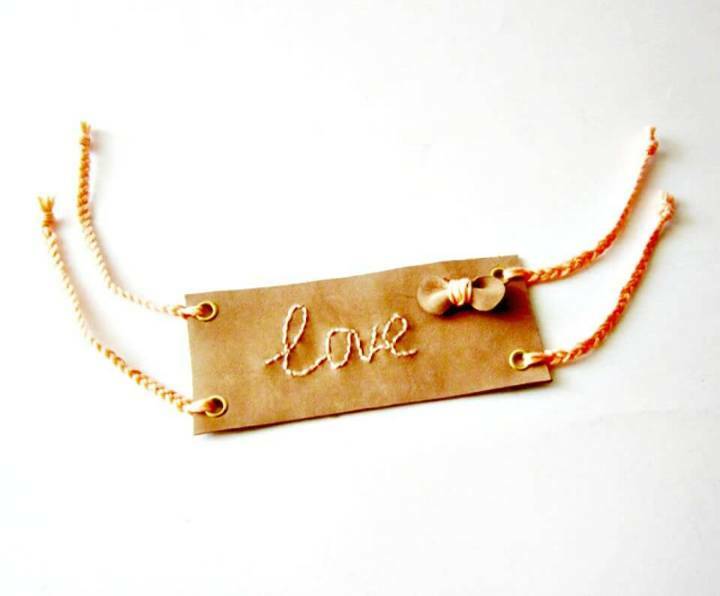 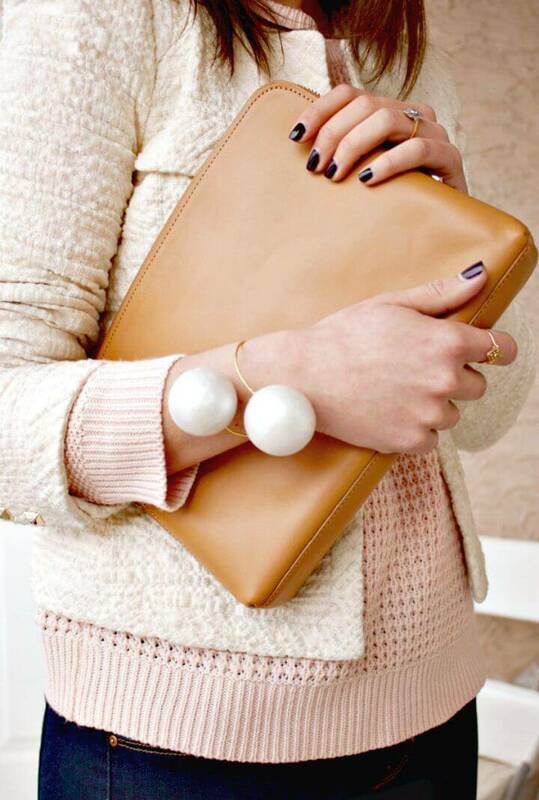 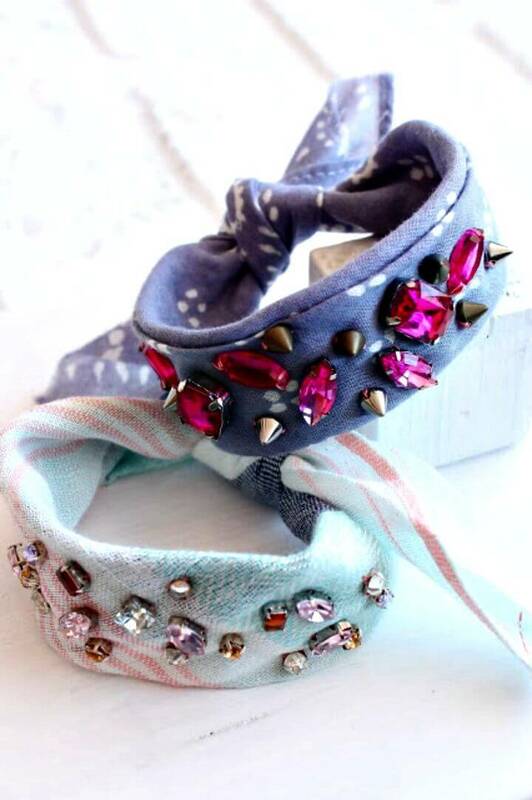 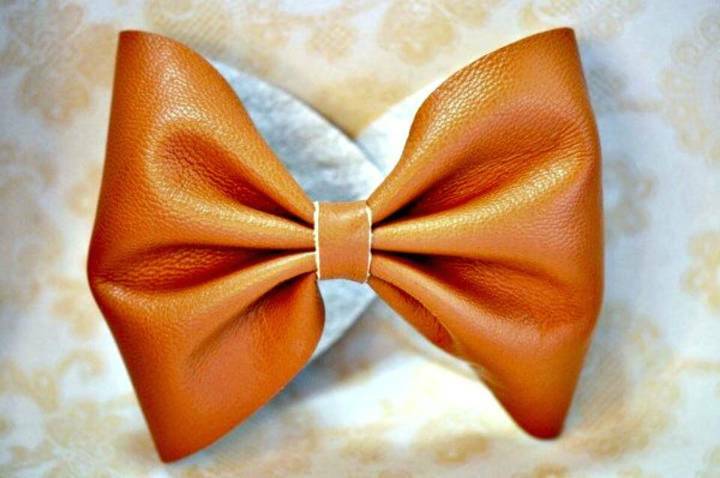 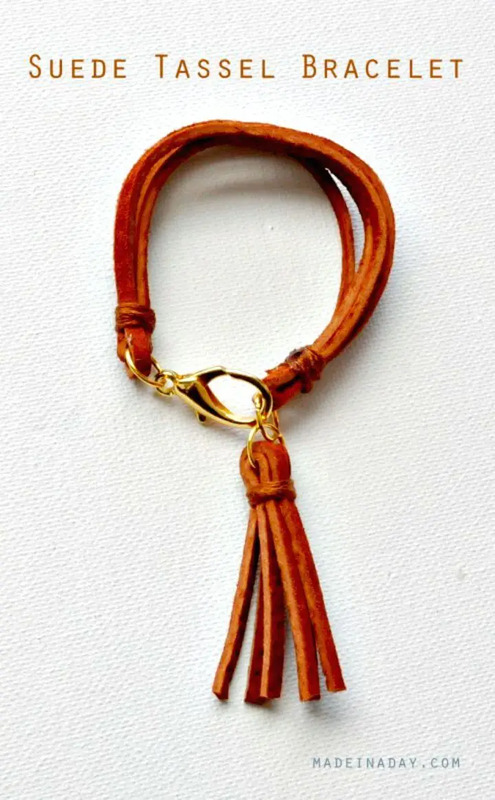 Moreover, they can also add a glam finishing touch to any of your fashion outfit! 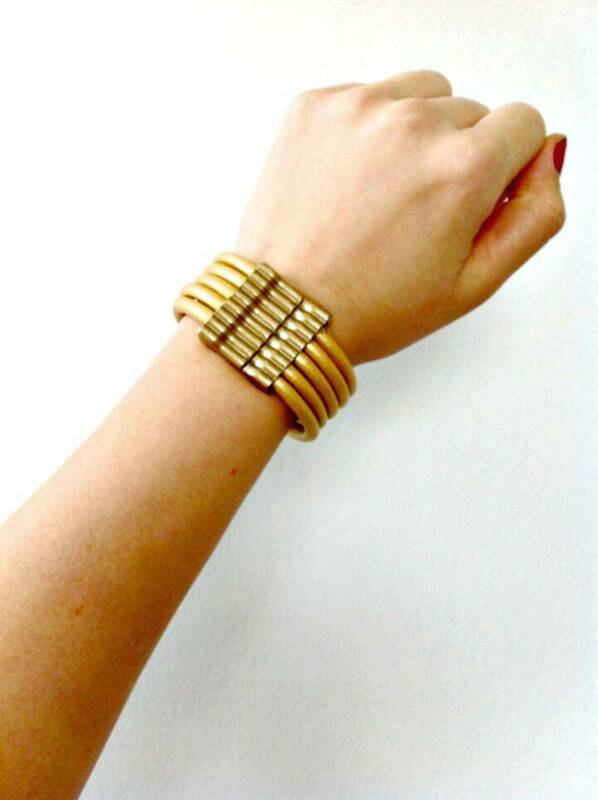 It can really get expensive to buy a designer style bracelet from a shop you look at for a long time! 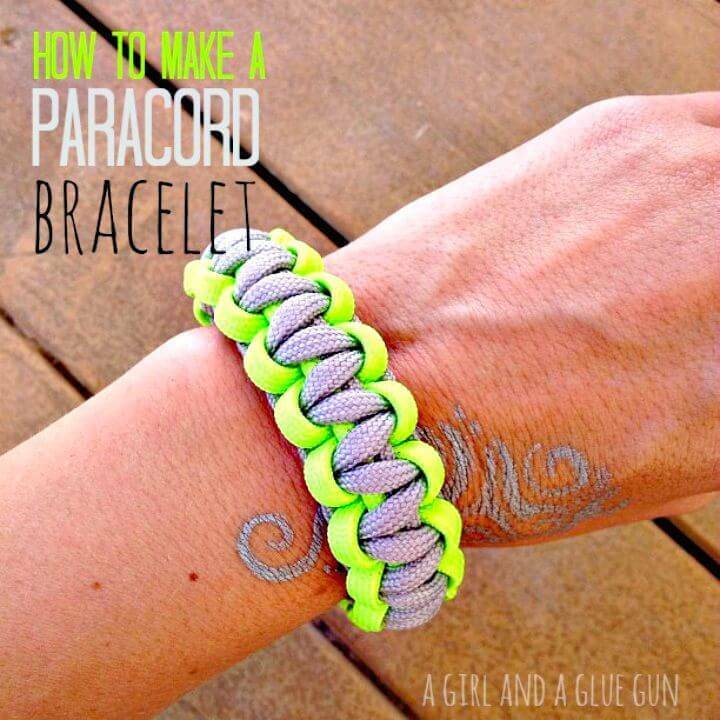 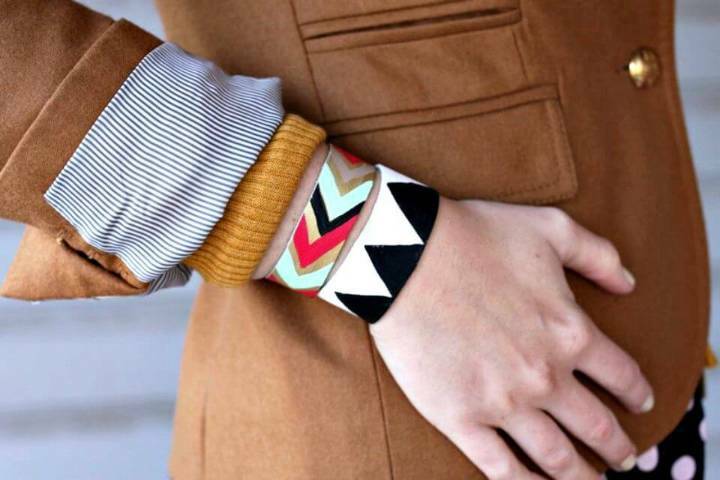 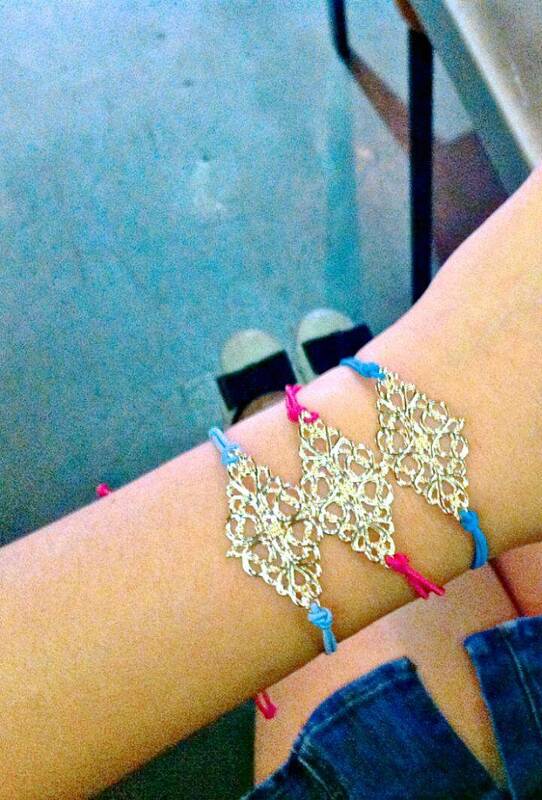 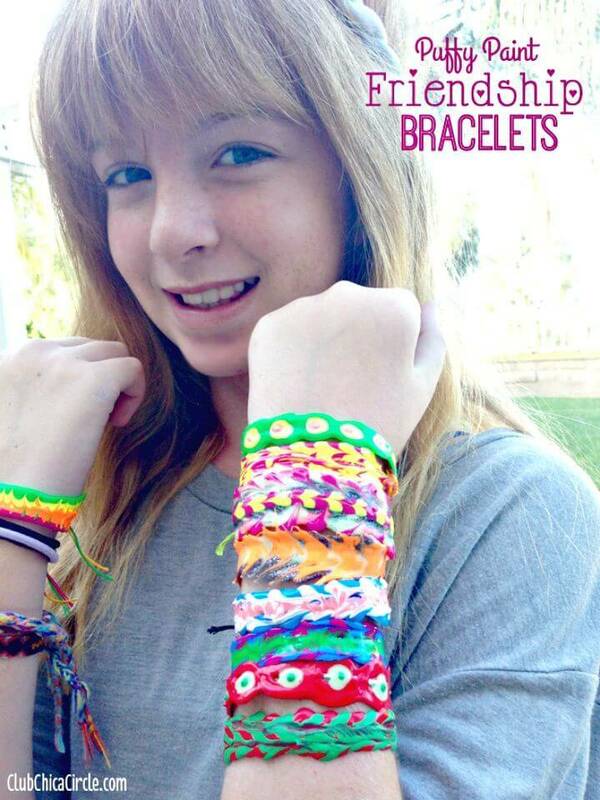 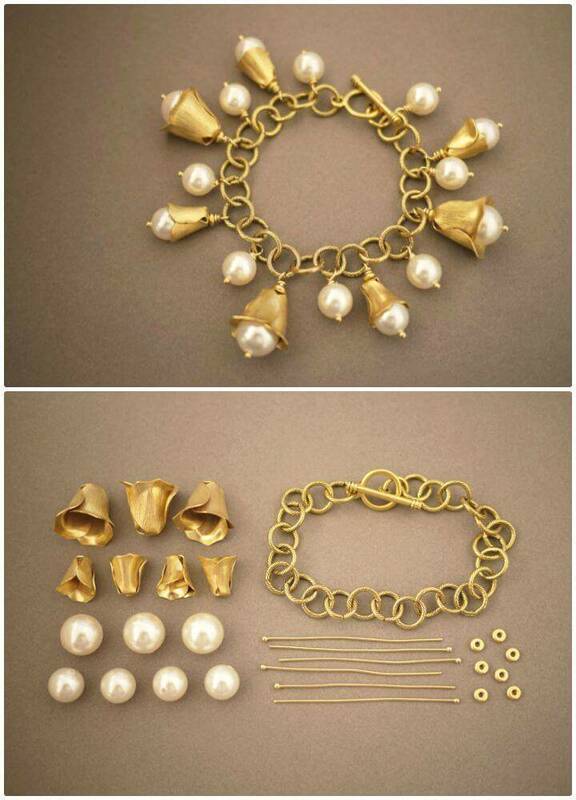 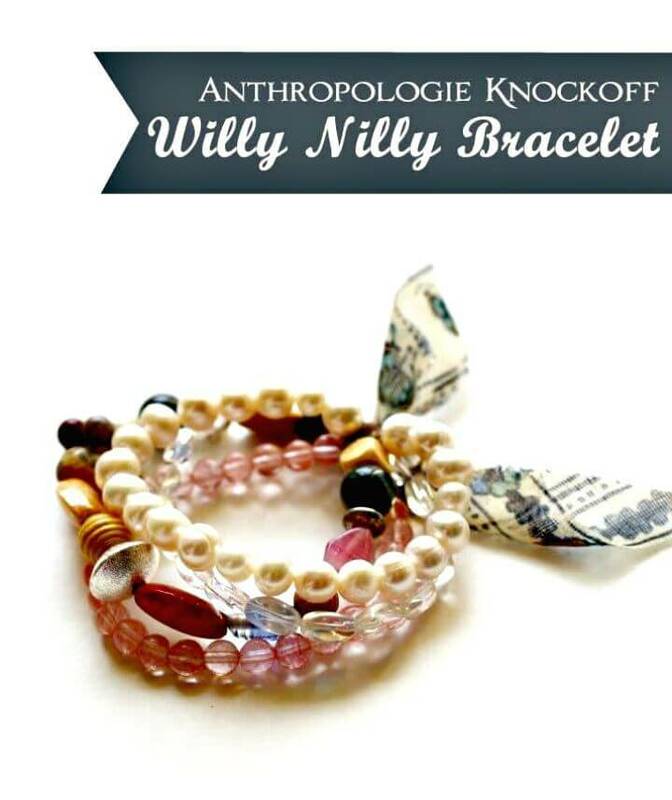 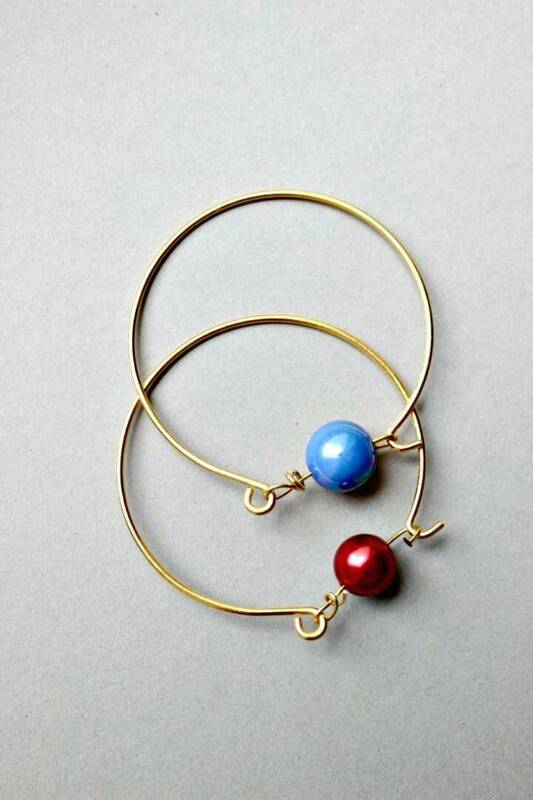 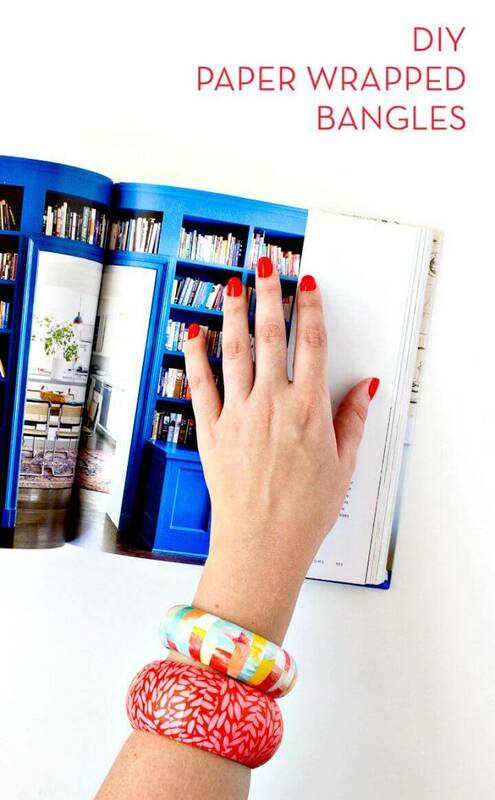 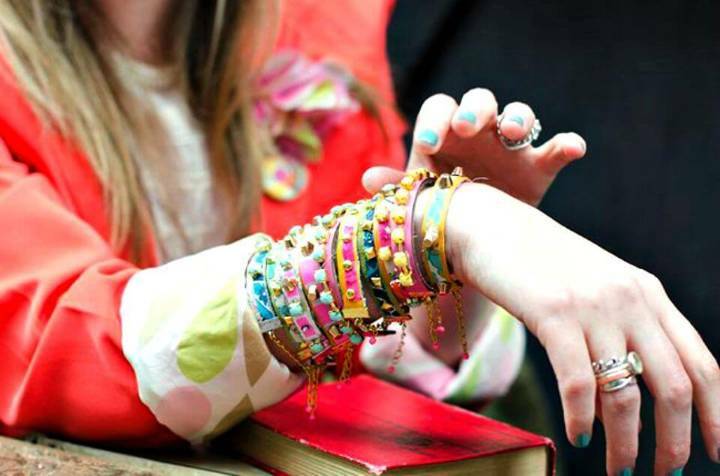 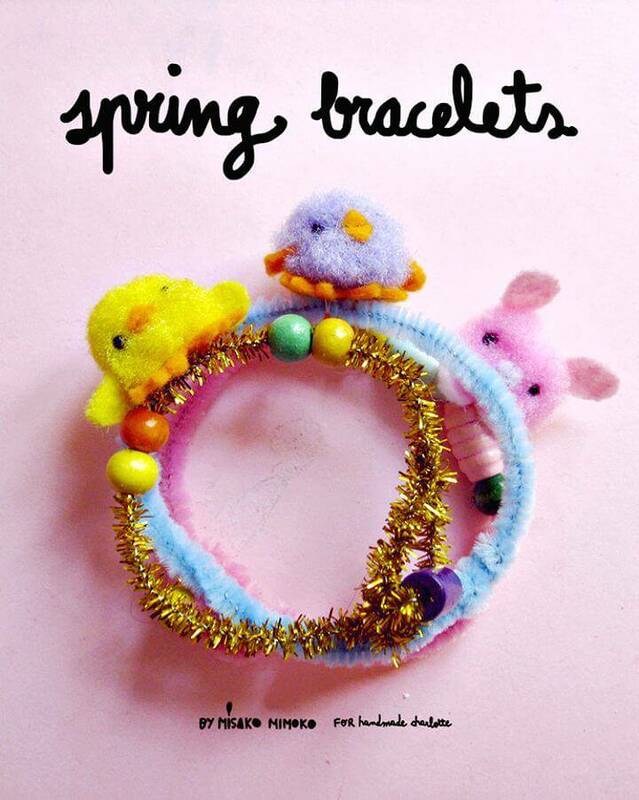 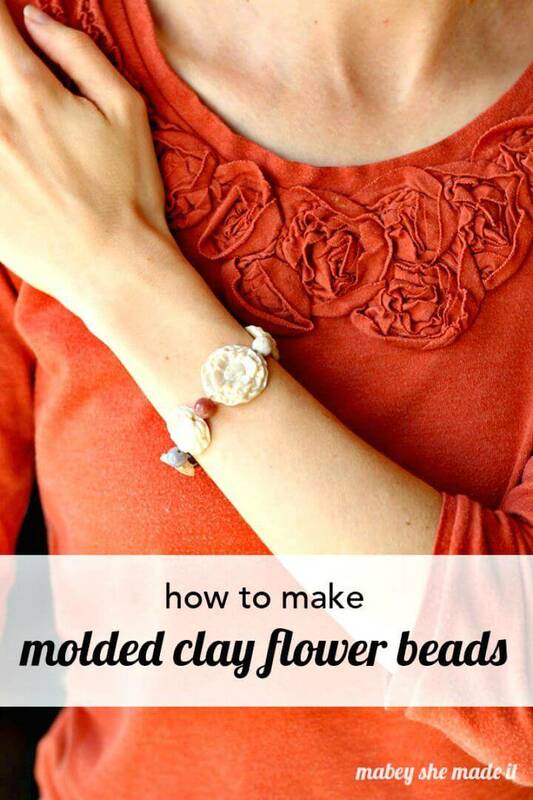 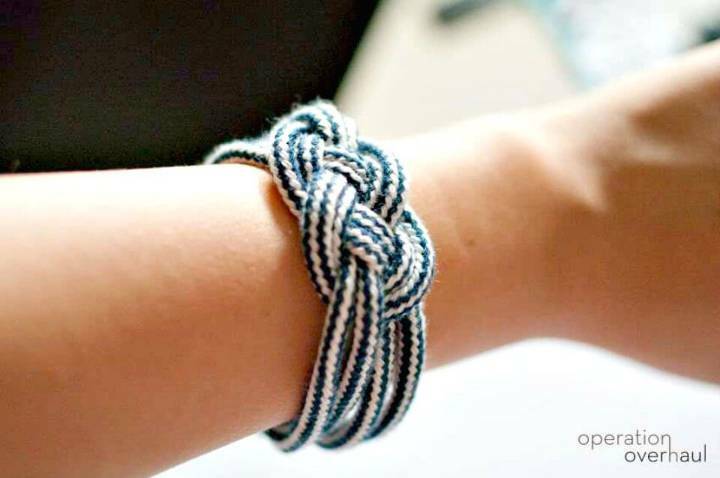 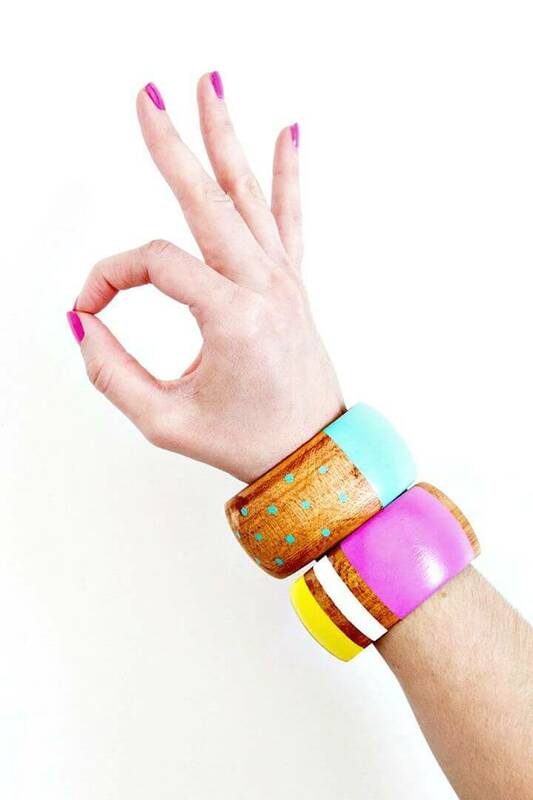 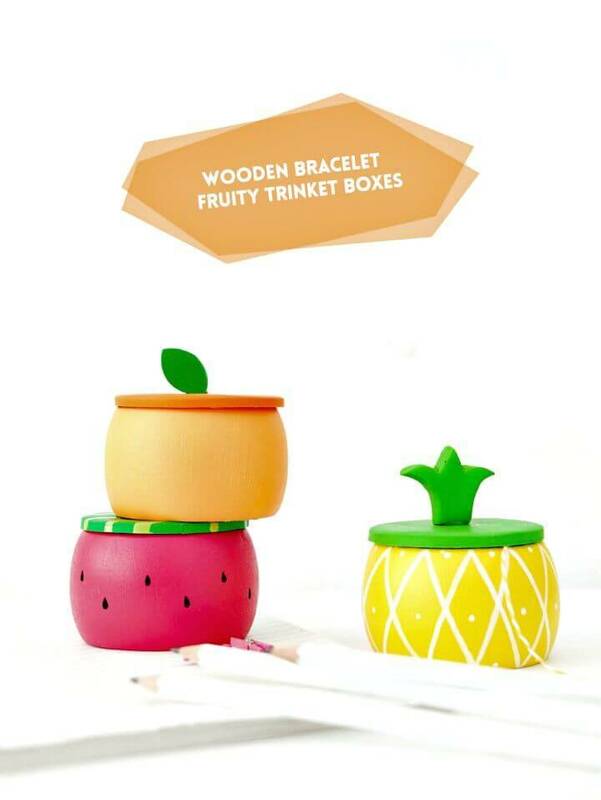 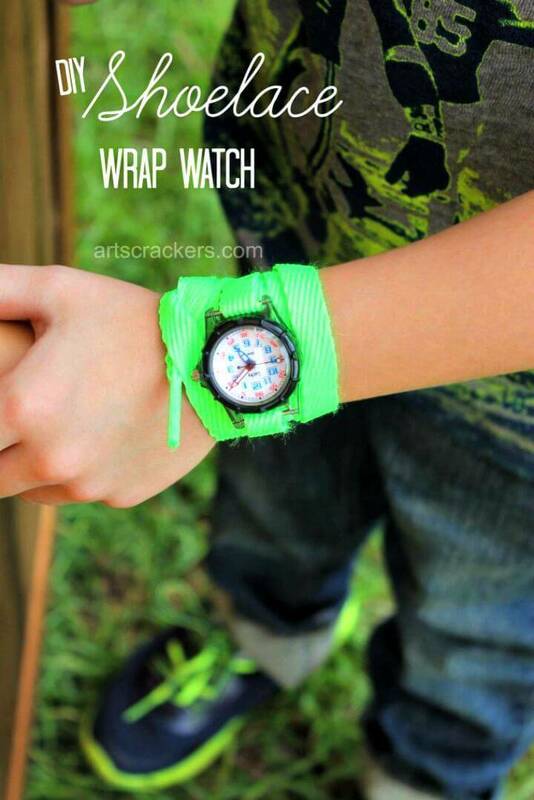 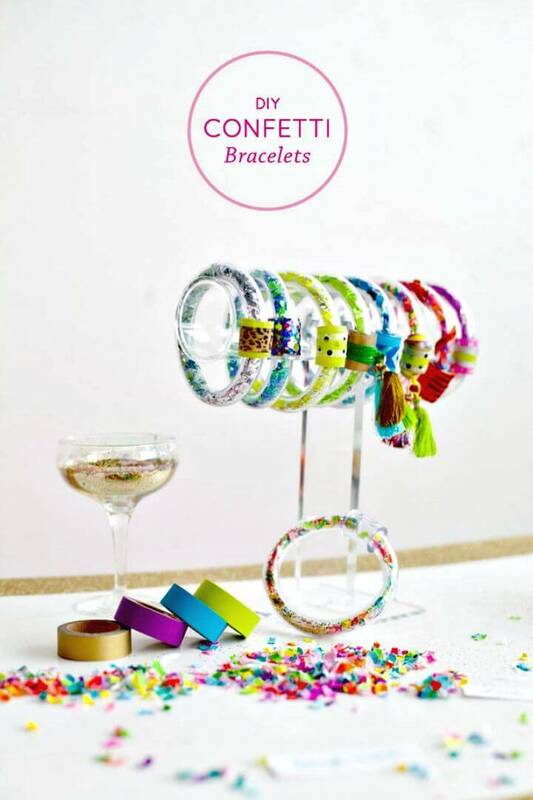 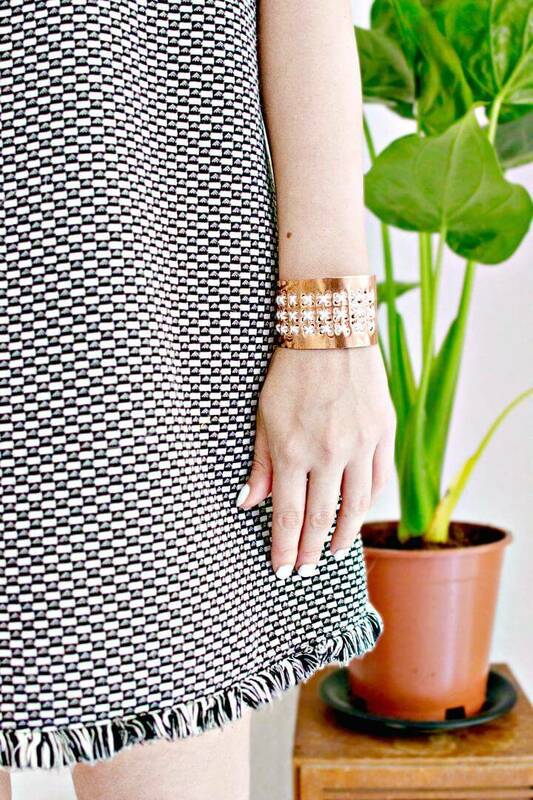 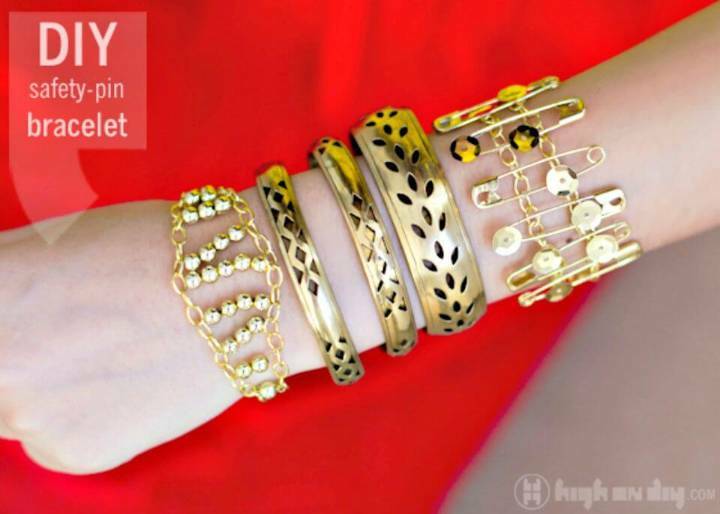 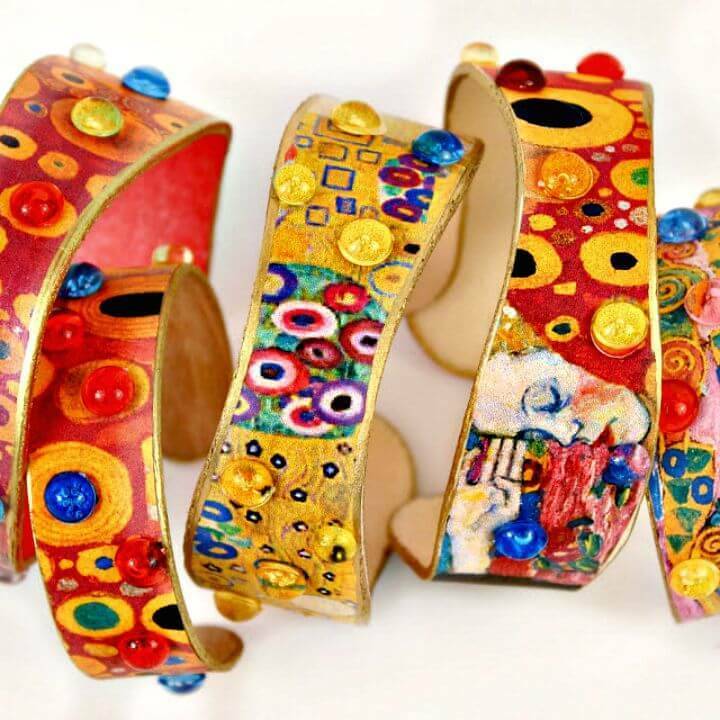 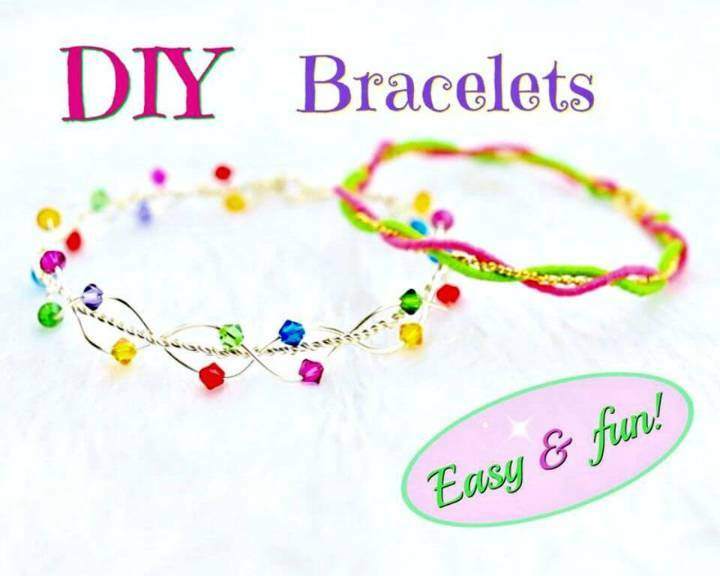 So, instead of spending too much fortune, why not make your own fashion-worthy and designer-style bracelets at home? 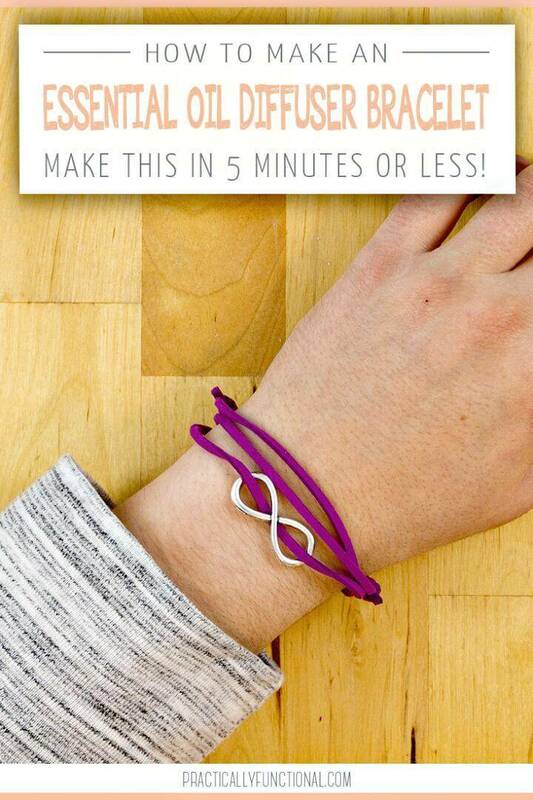 This will cost you less and the results would be amazing! 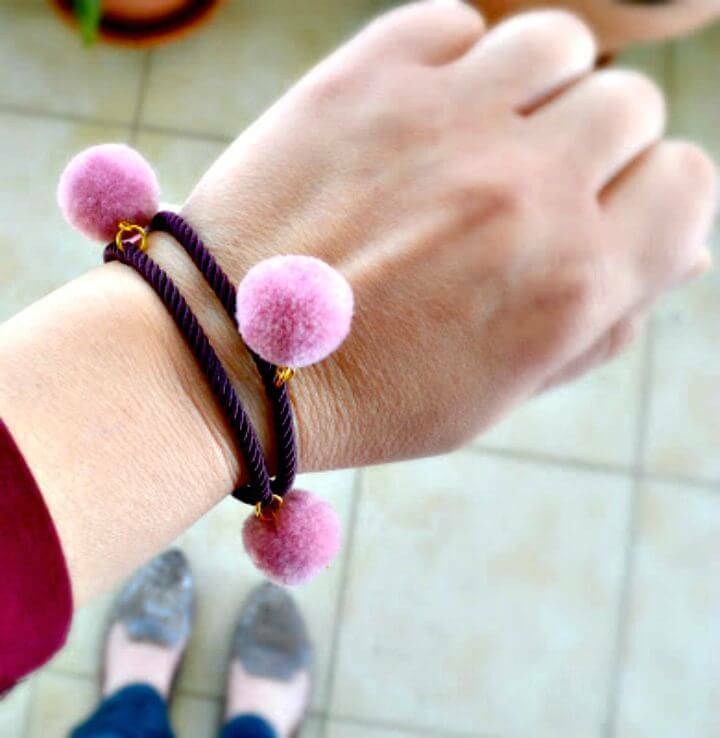 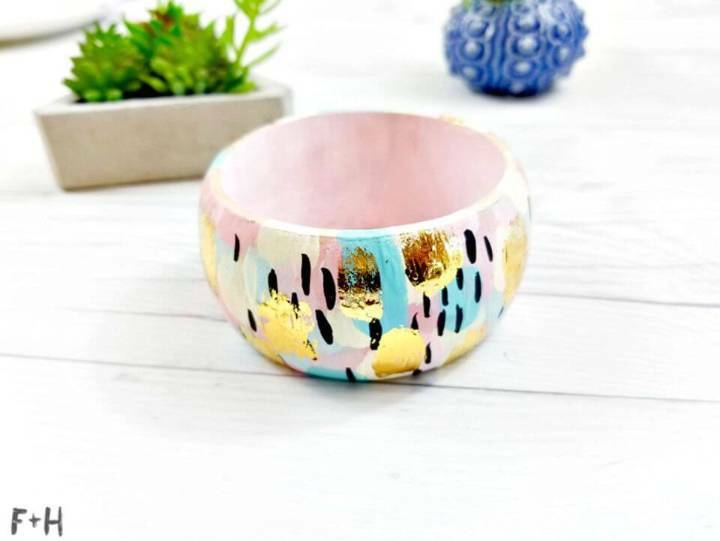 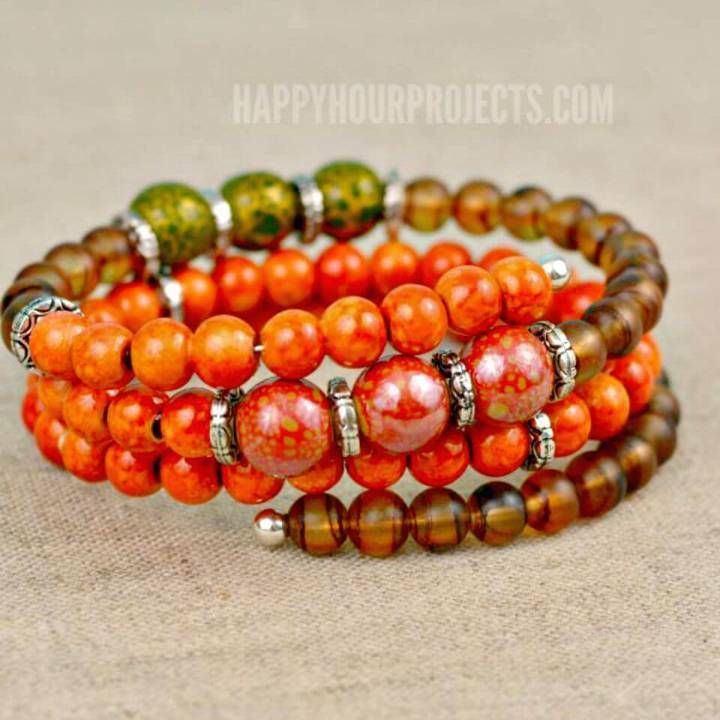 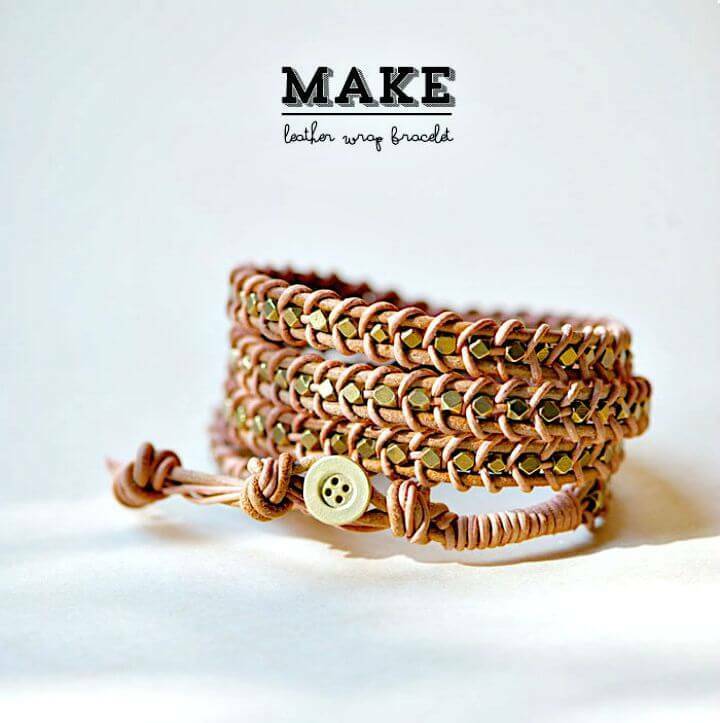 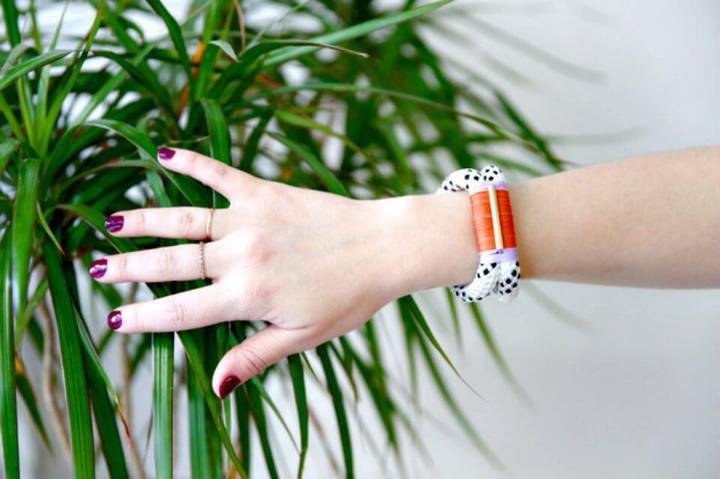 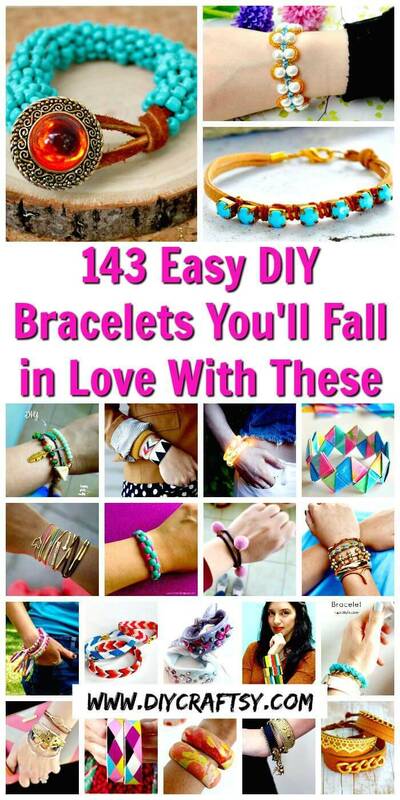 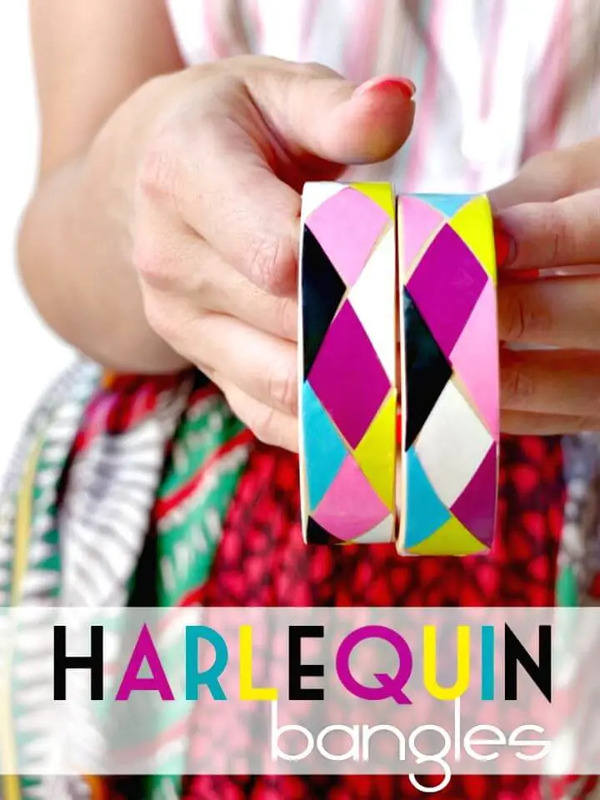 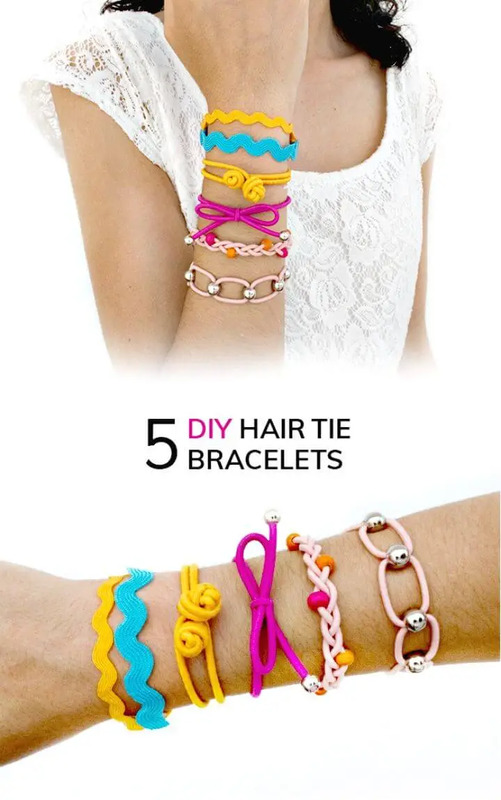 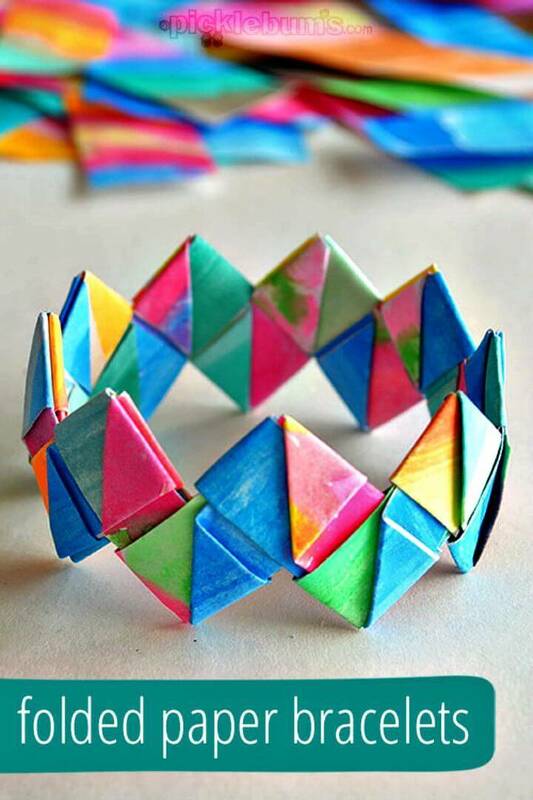 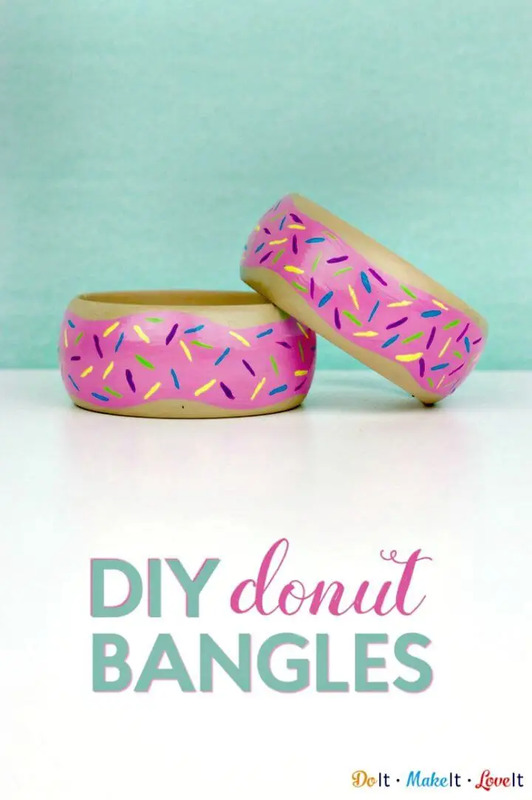 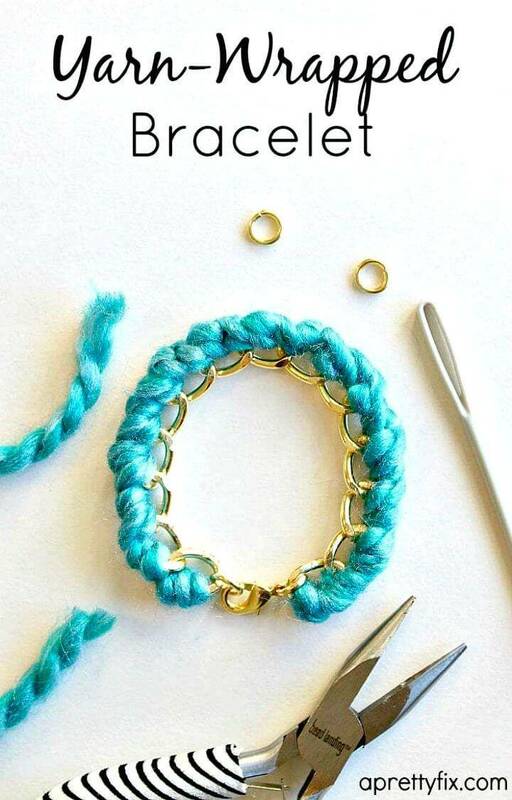 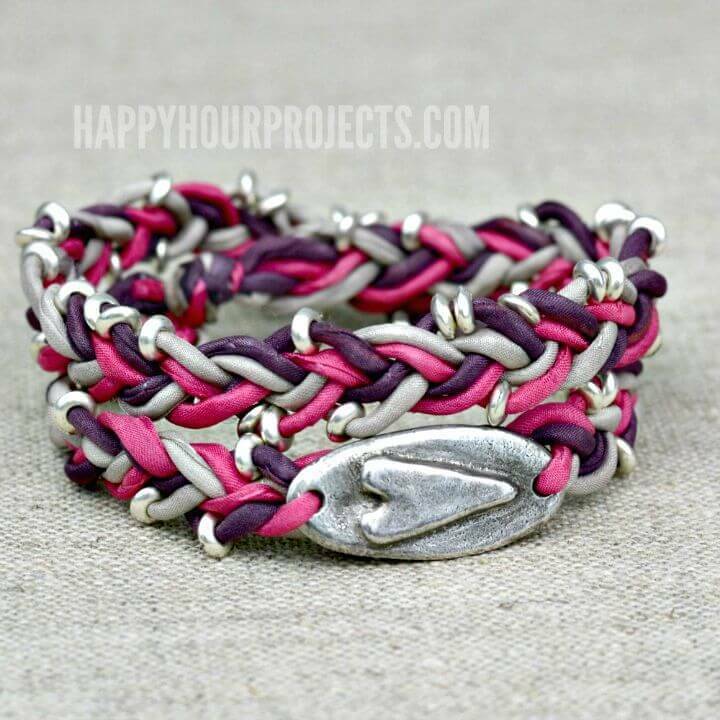 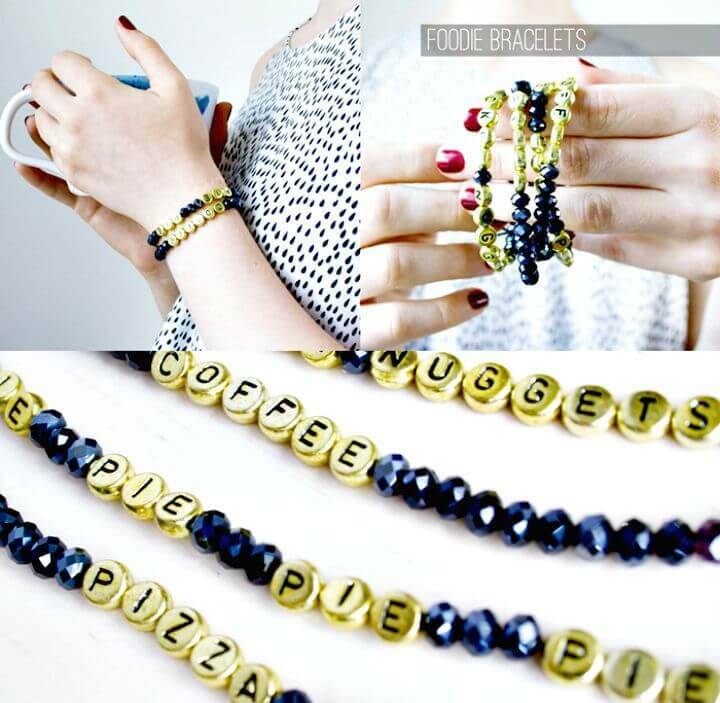 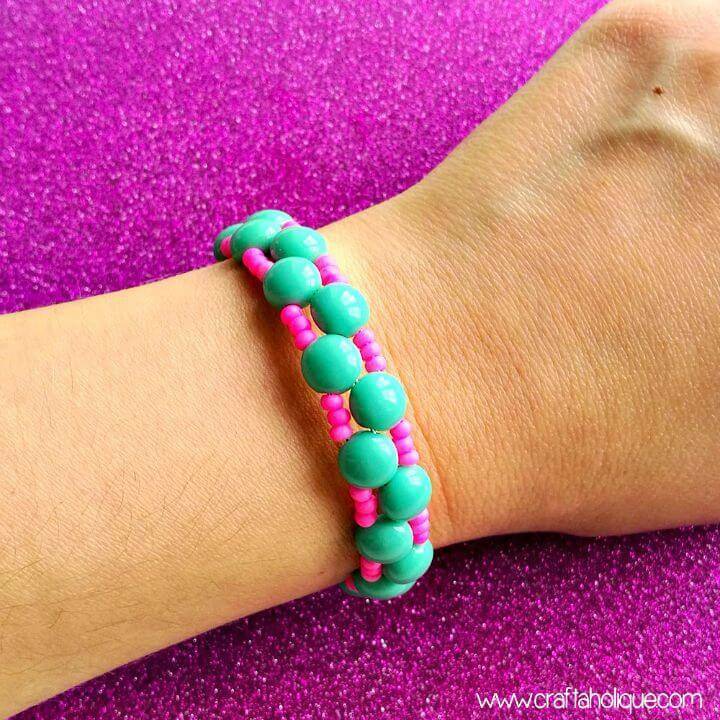 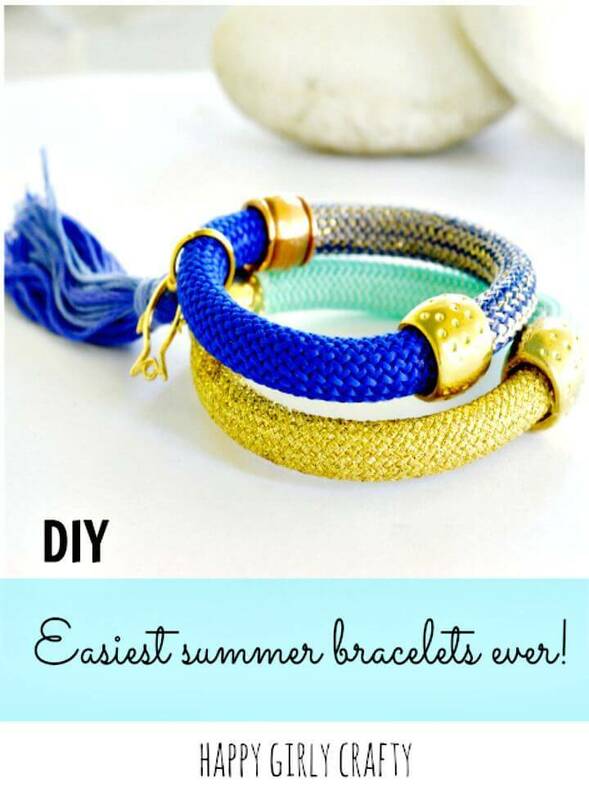 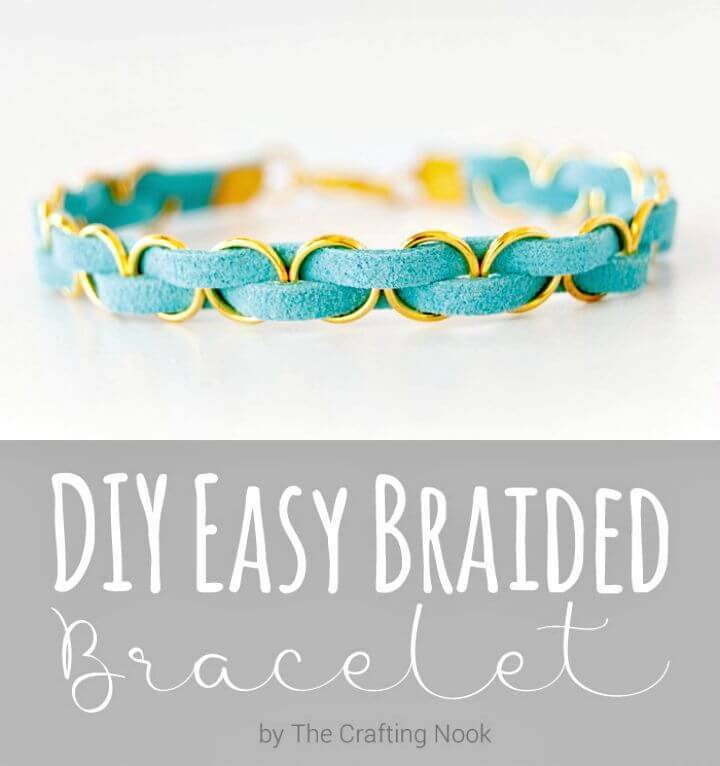 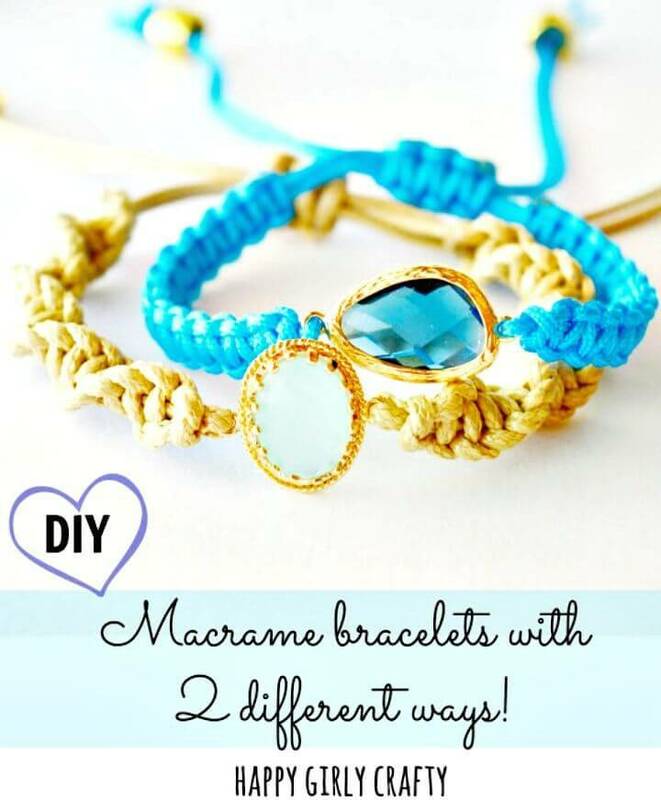 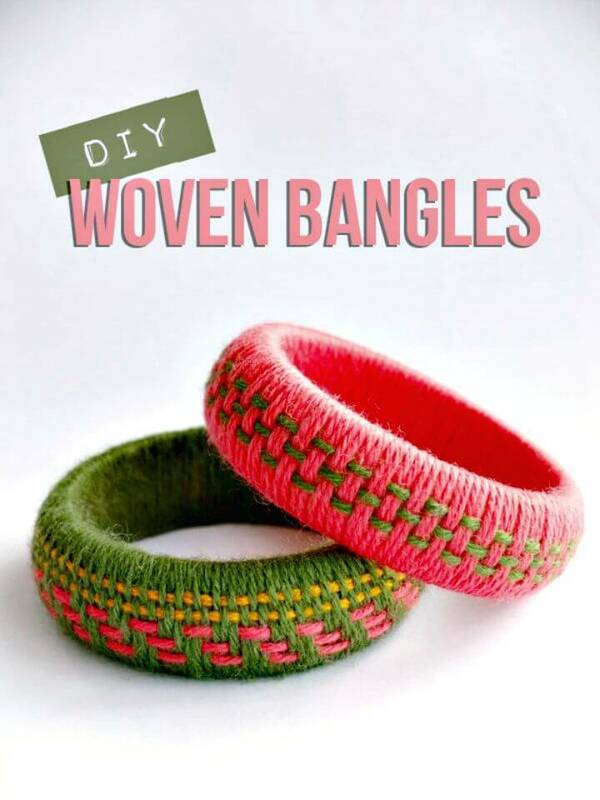 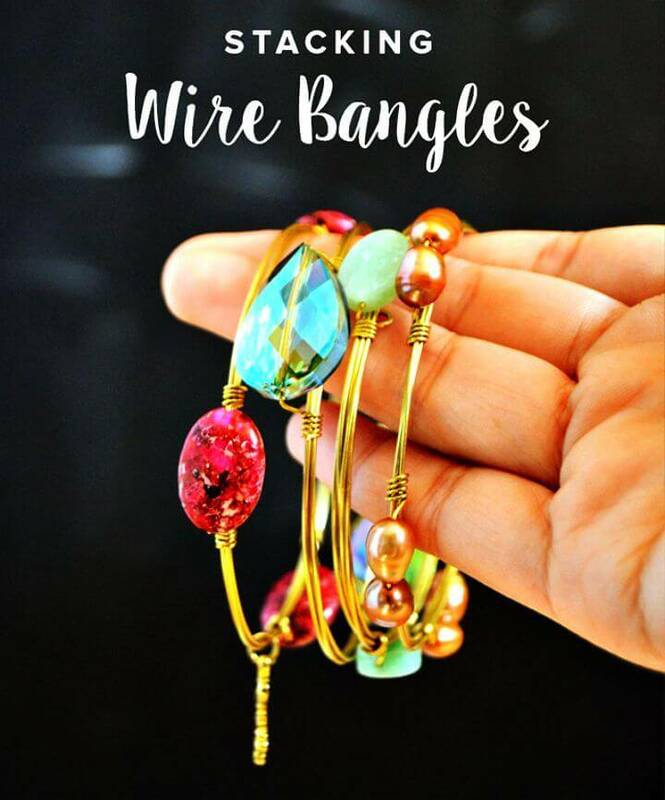 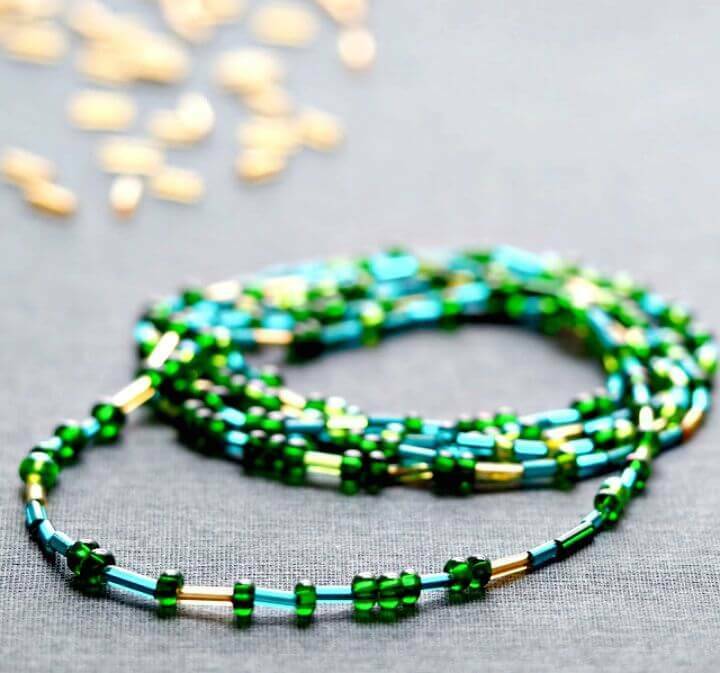 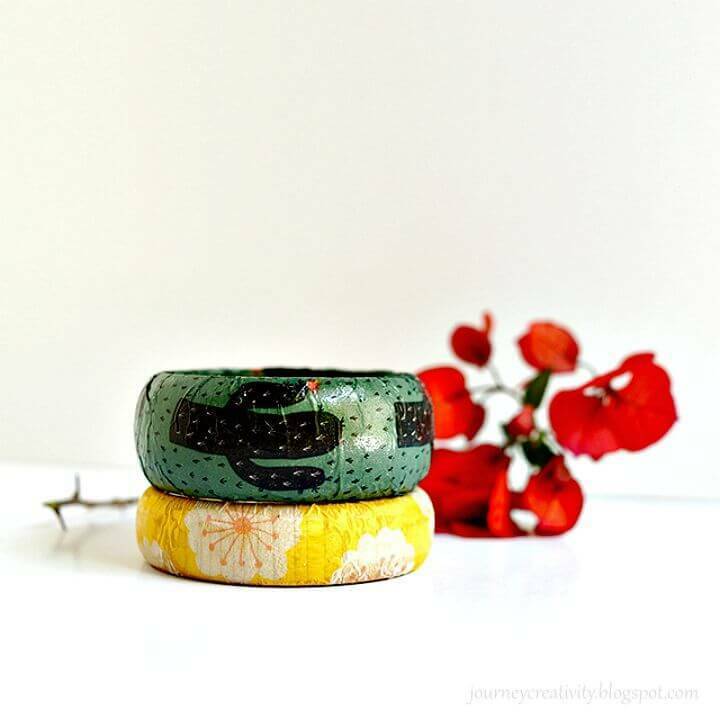 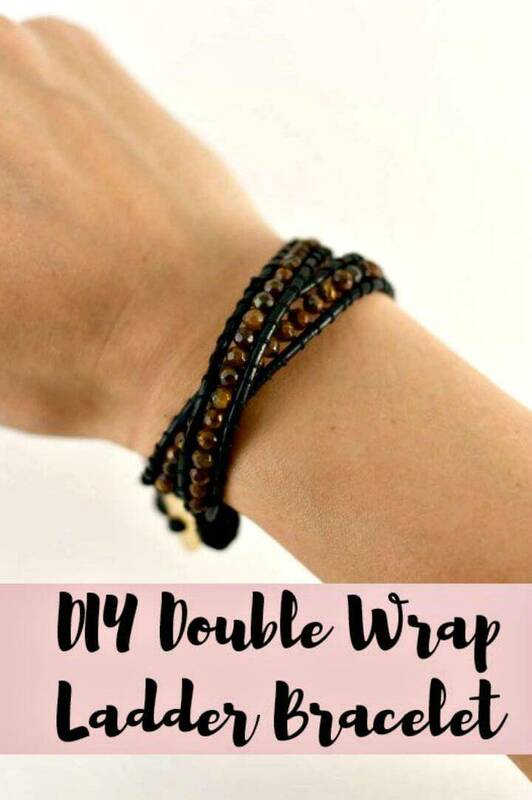 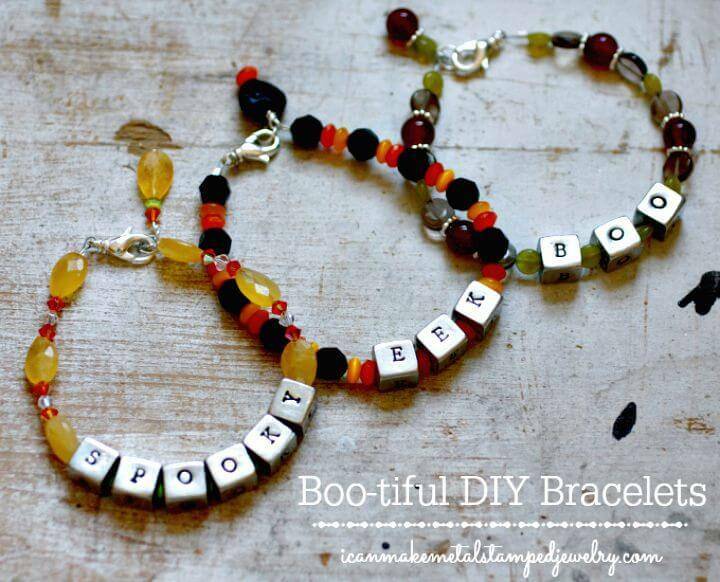 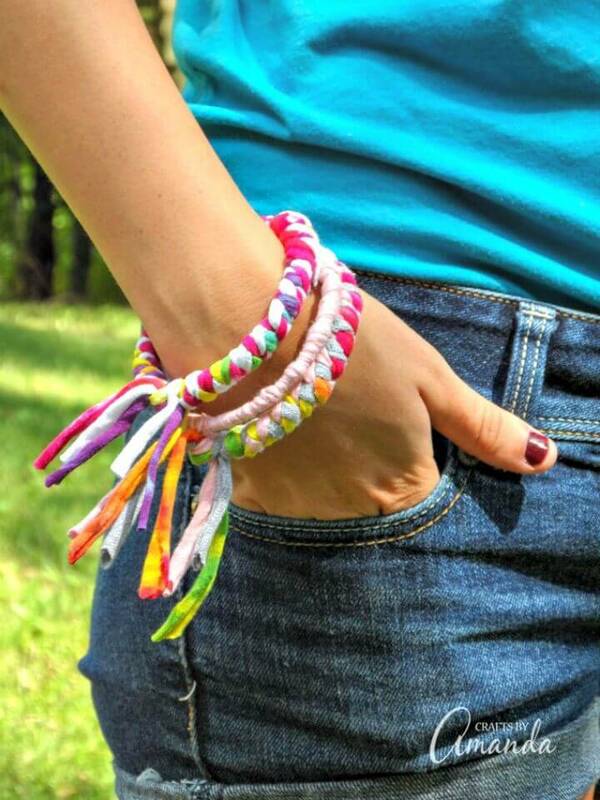 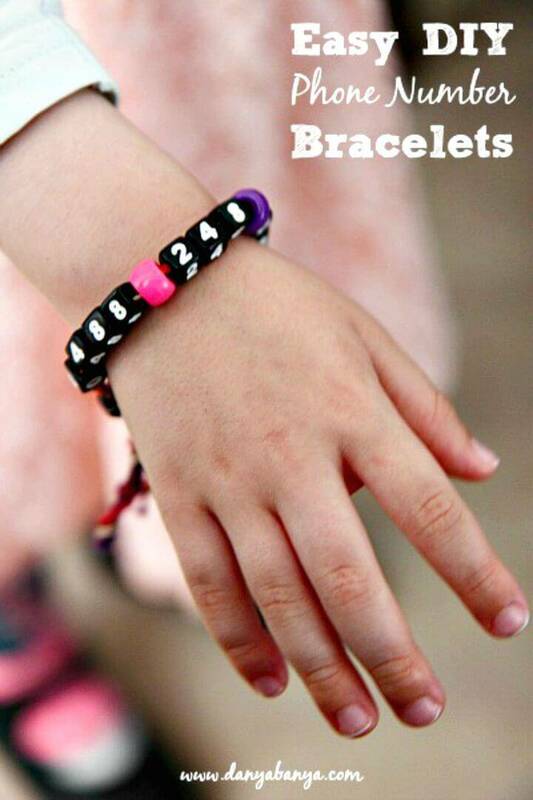 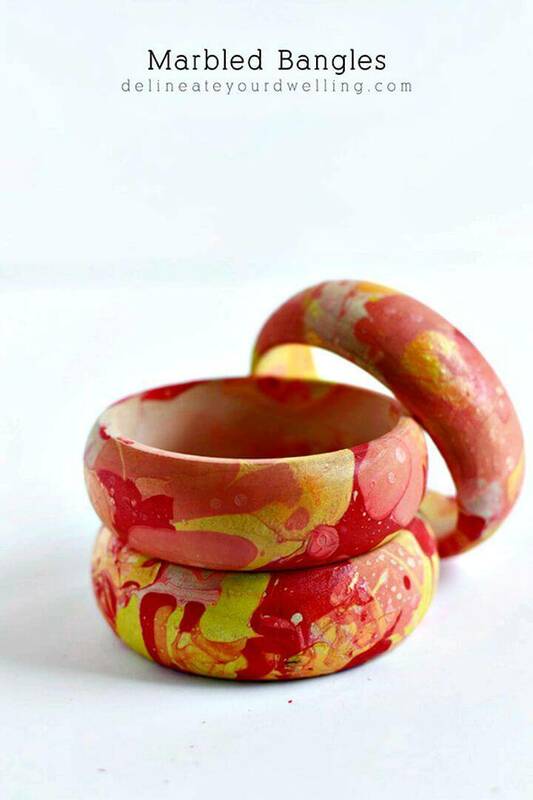 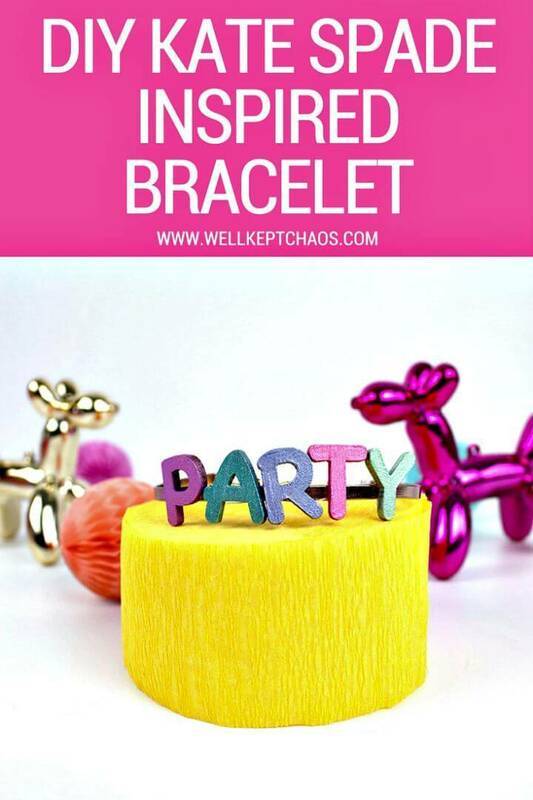 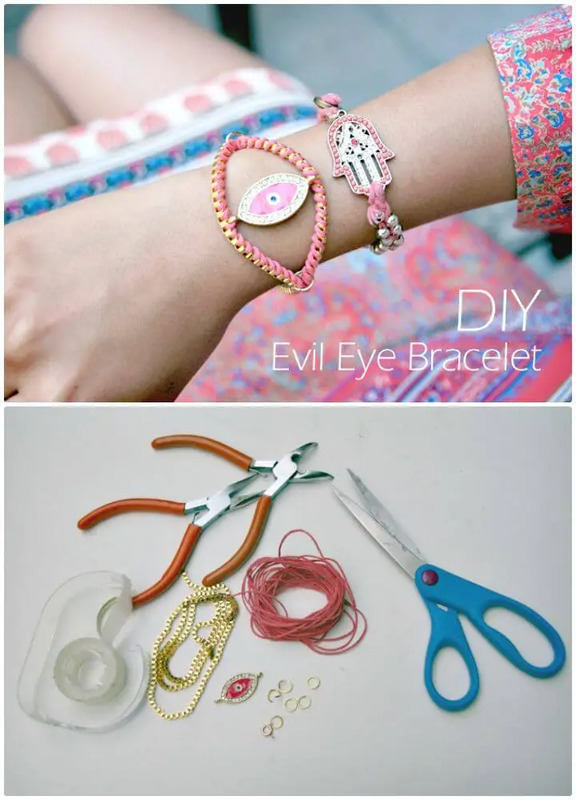 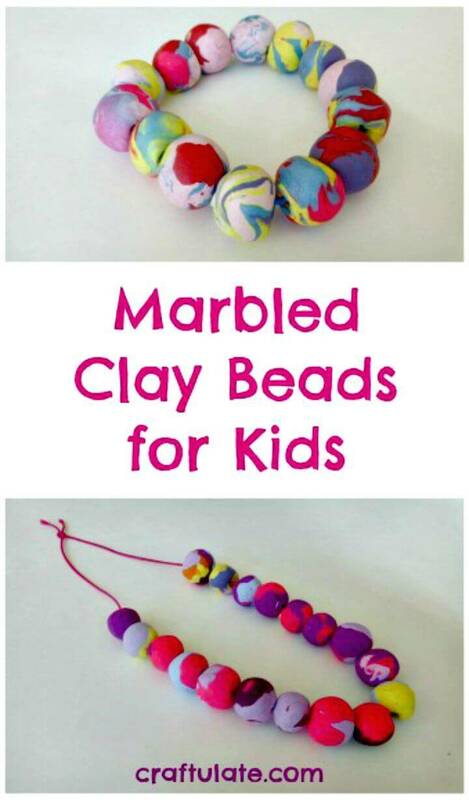 So, just to make you professional bracelet maker, we have shared here the 143 easy DIY Bracelets that are full of creative hacks and will let you know all the jewelry making secrets that you are intending to unveil from a long long time! 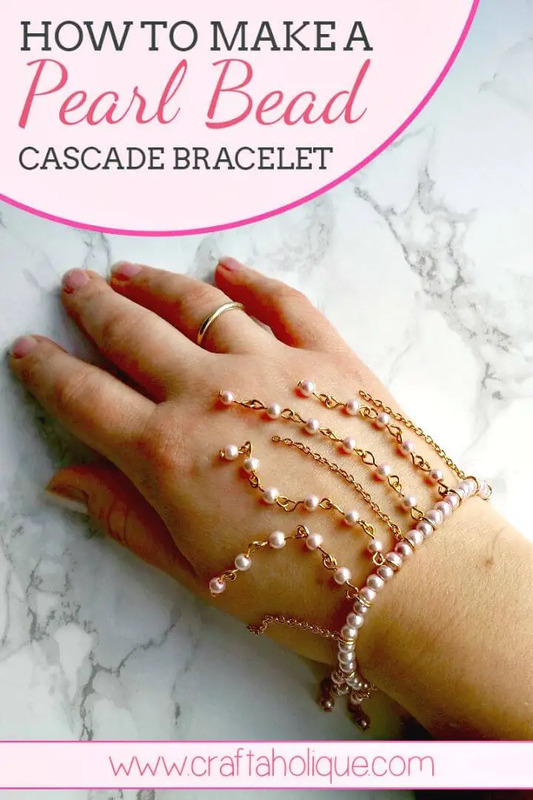 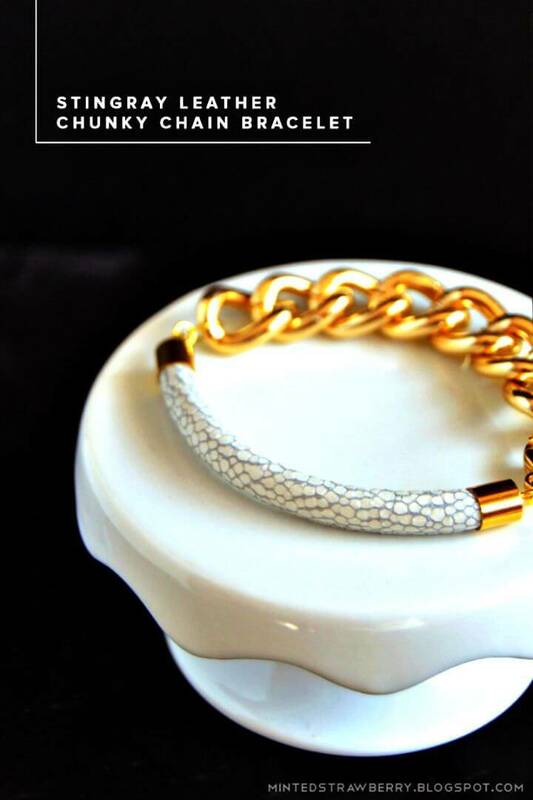 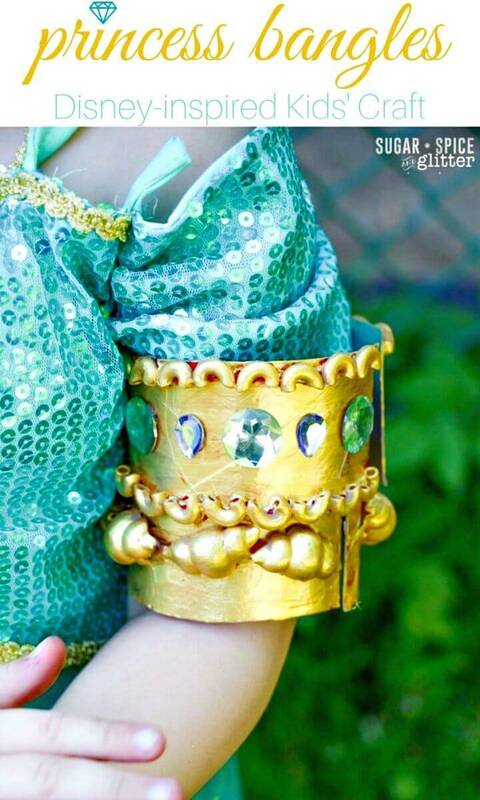 Whether you are looking for a statement bracelet and intending to wear a visually attractive cuff around your wrist, these ideas will help you to make any custom style of bracelet you are a big fan of! 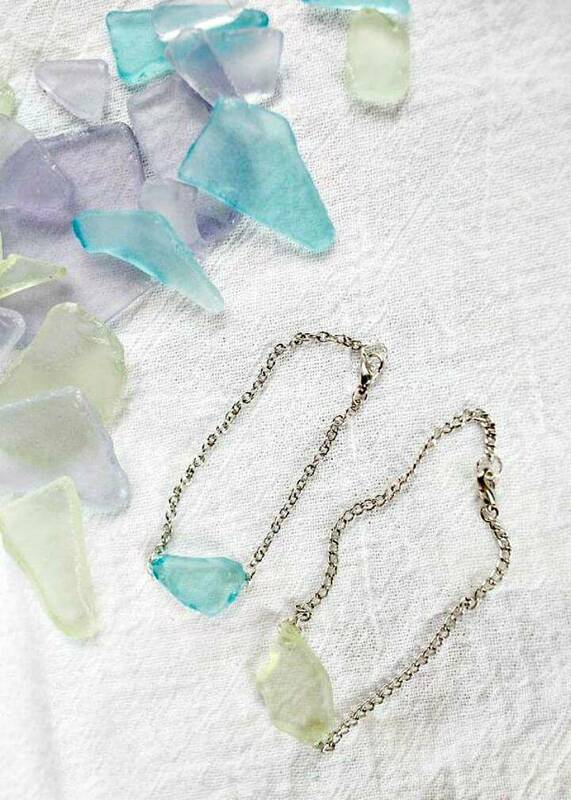 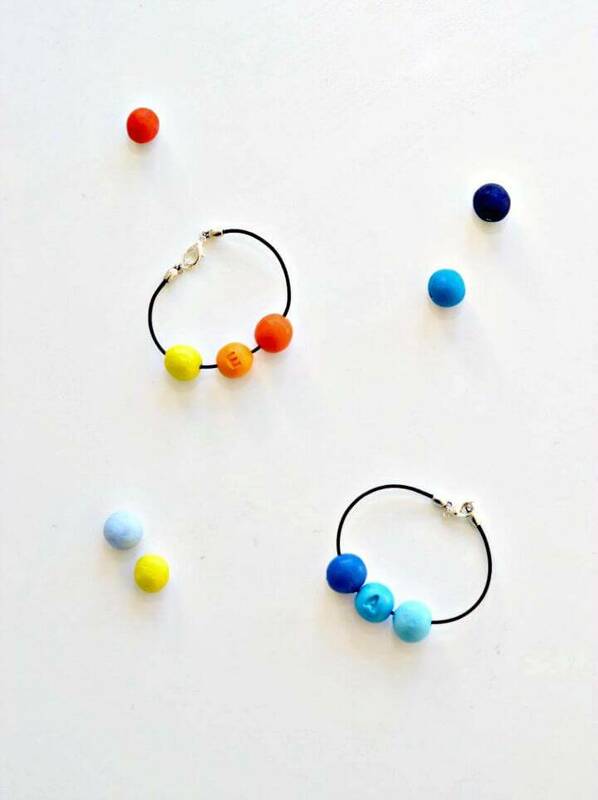 Connect together the glass cabochons through jump rings and metal chain and make modern glam necklaces! 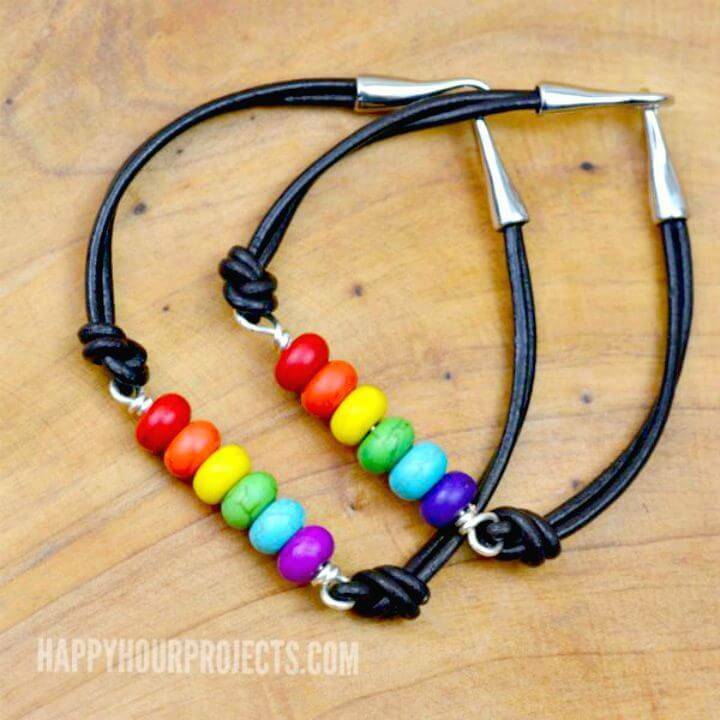 Finish a custom length of leather or simple cord with magnetic ending clasps and make great looking bracelets at just a drop of the hat! 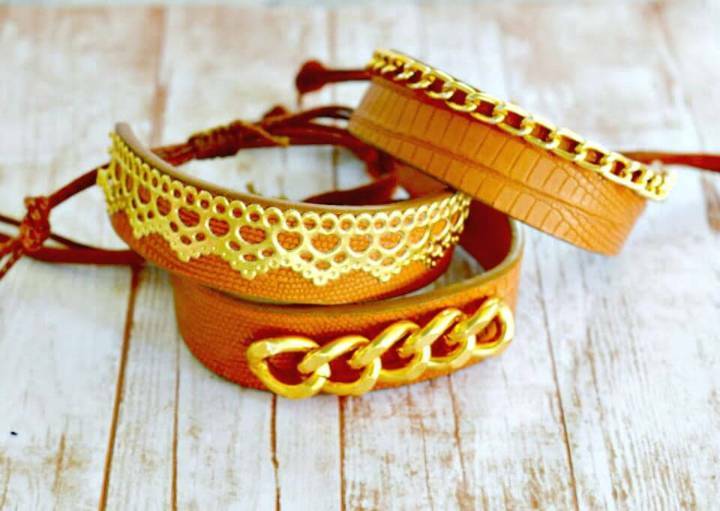 Get also crafty with the leather cord and rhinestones to make amazing statement necklaces for yourself and also for your beloved ones! 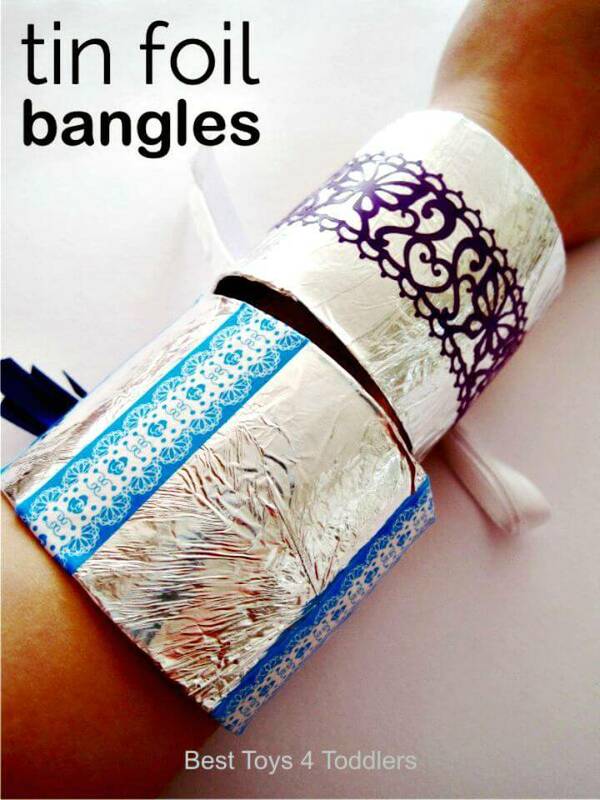 Check out some brilliant samples are given below! 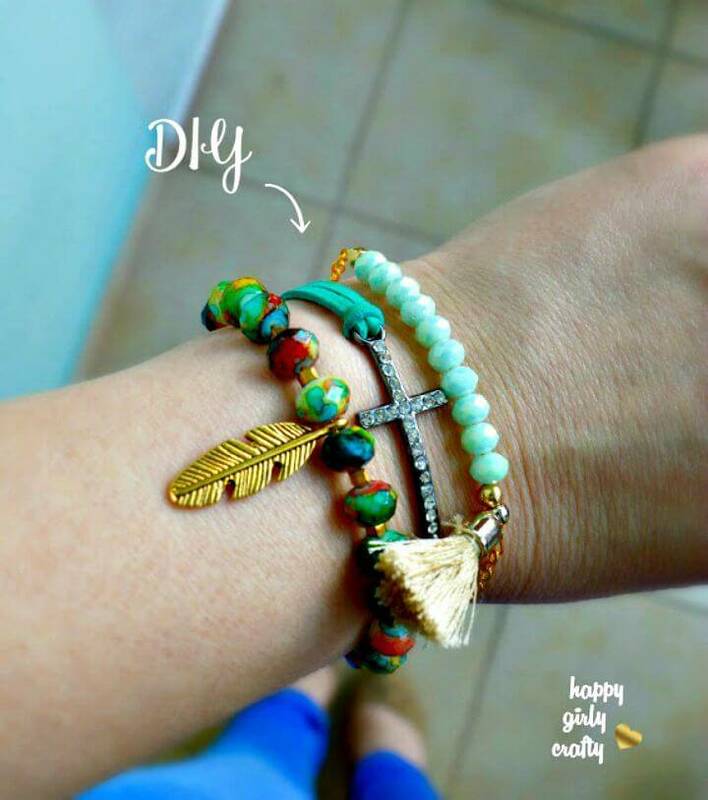 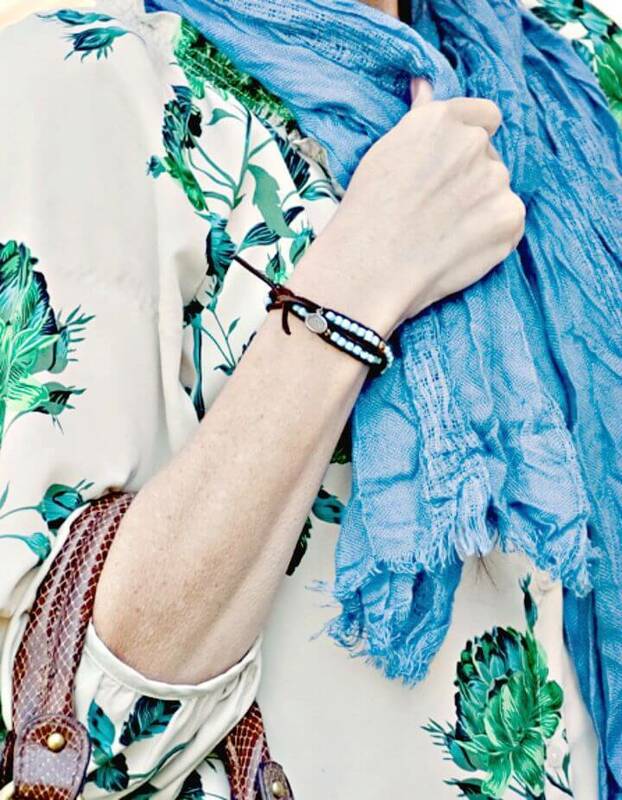 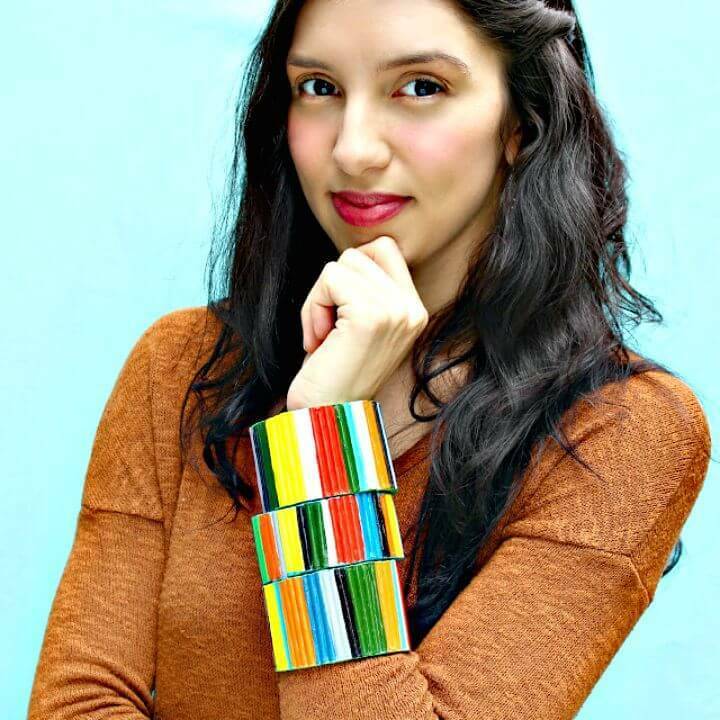 Bring a vintage touch to your personality by wearing the vintage bracelets that can easily be made using vintage buttons and metal chain and boost your bohemian fashion by wearing the special boho bracelets around your writs, the given goddess turquoise wrapped bracelet is a brilliant example of it! 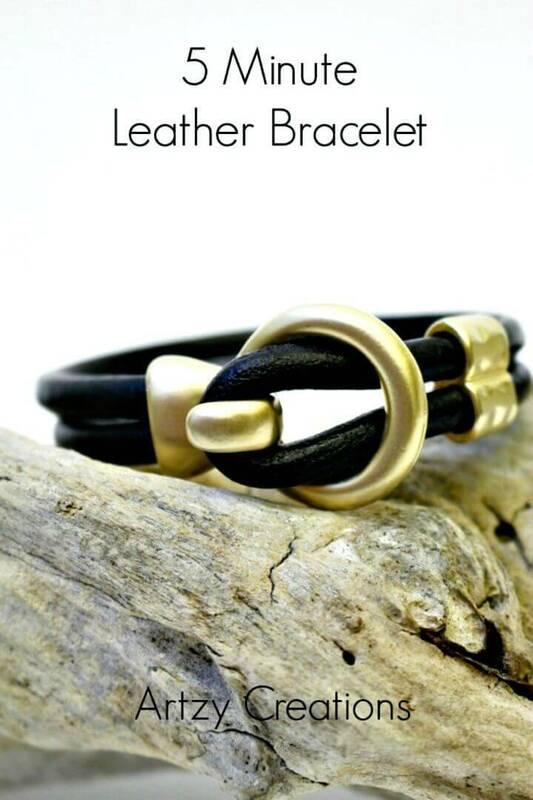 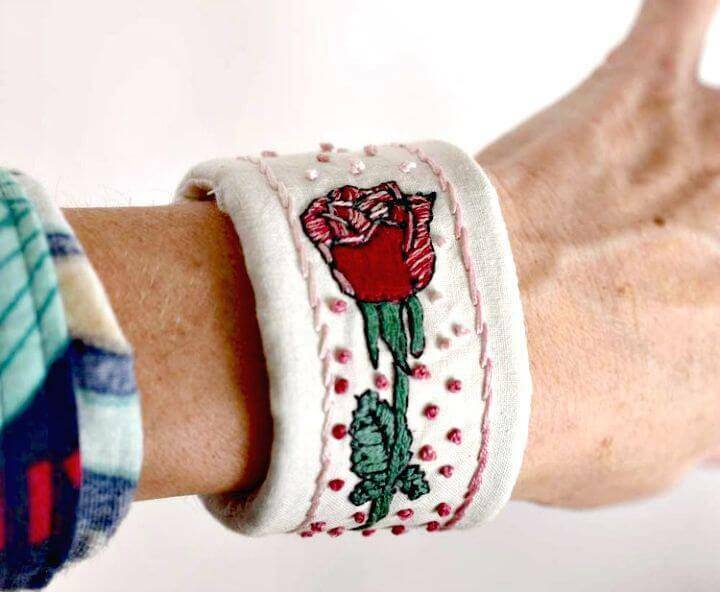 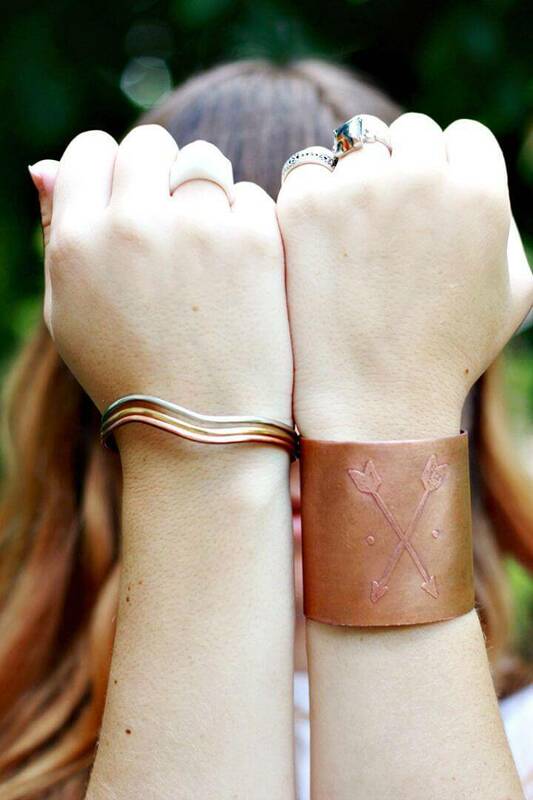 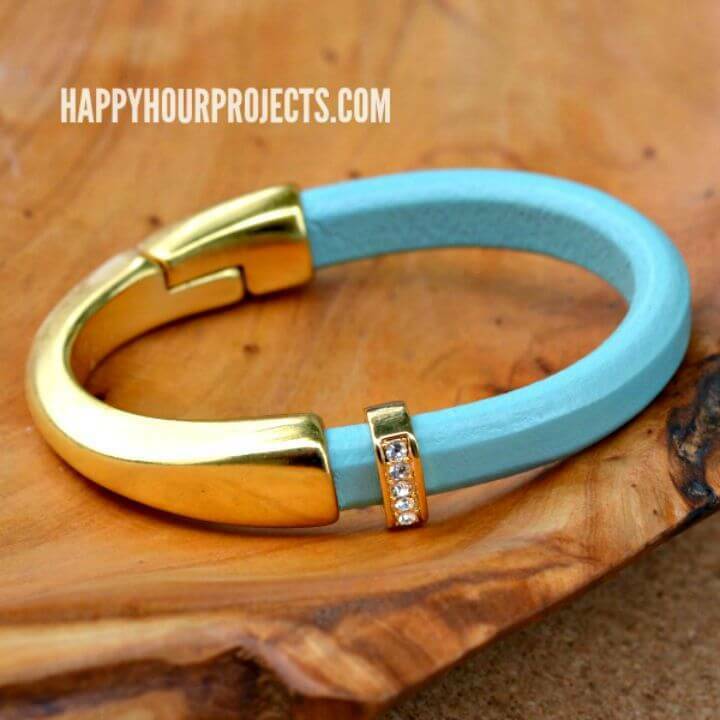 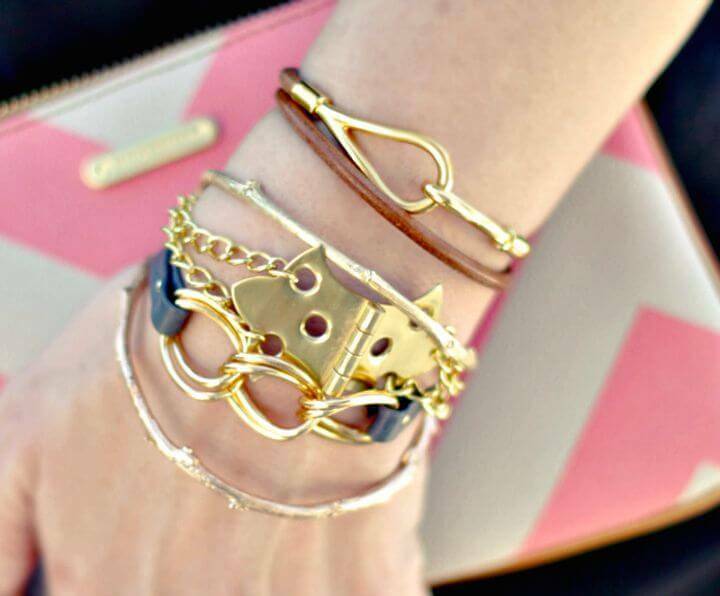 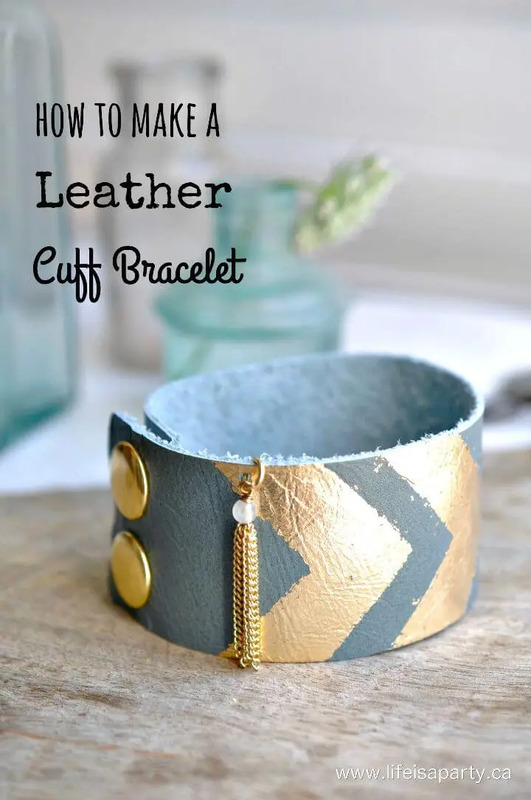 Adorn your writs also by wearing the custom leather cuff bracelets and also go smartly handmade with zippers to make cool metal glam bracelets in no time! 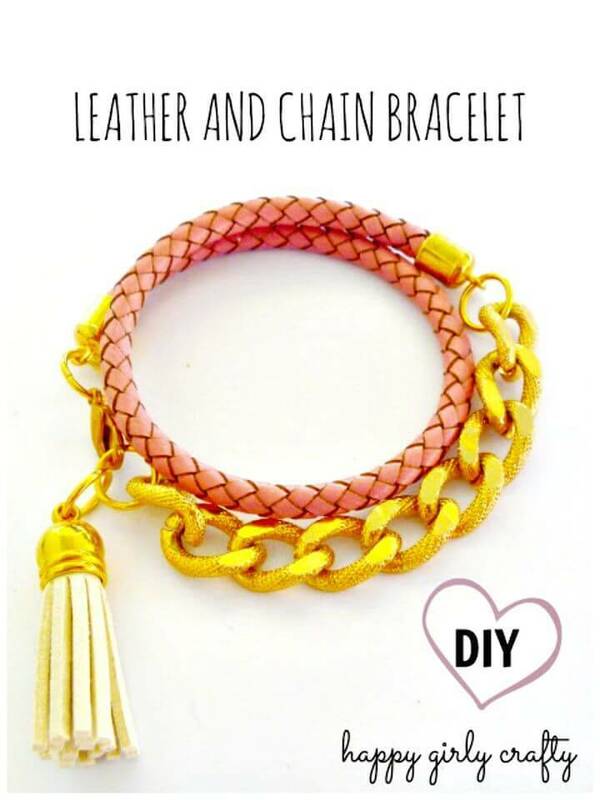 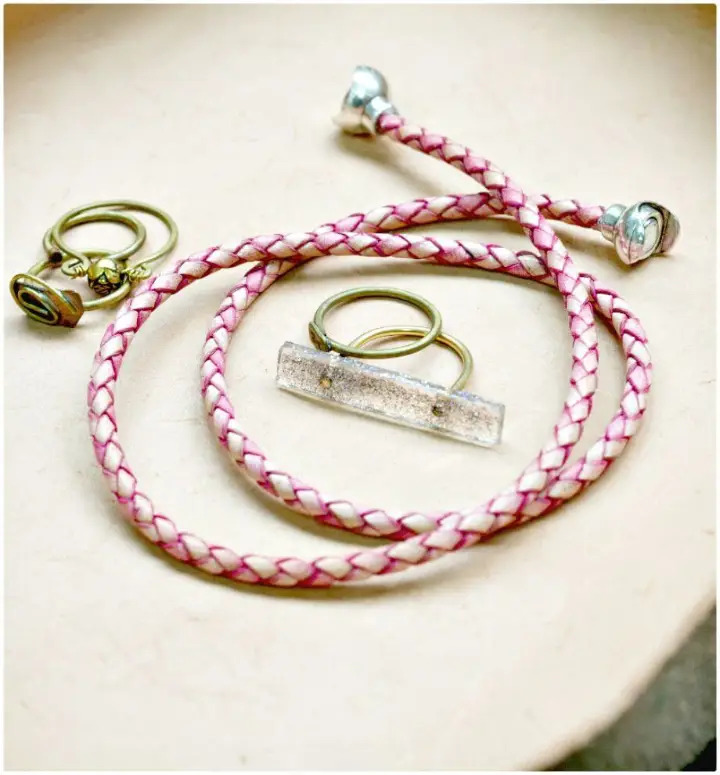 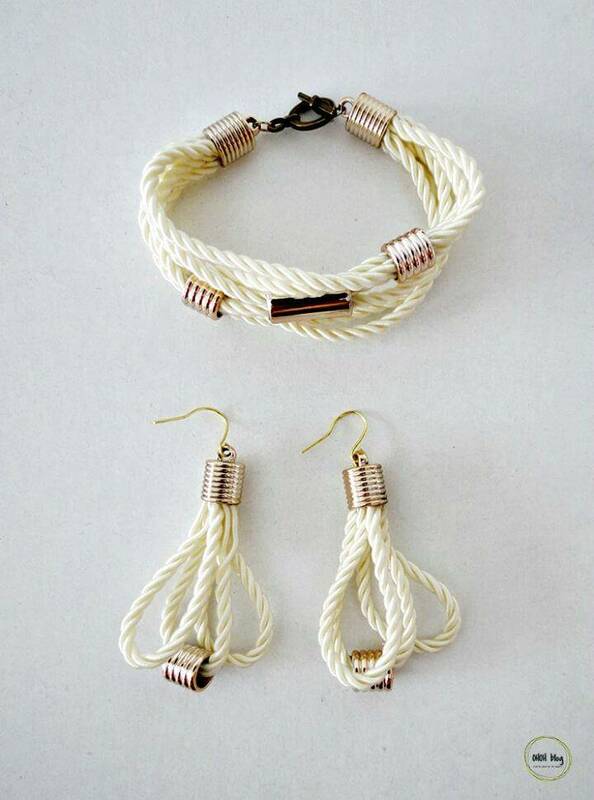 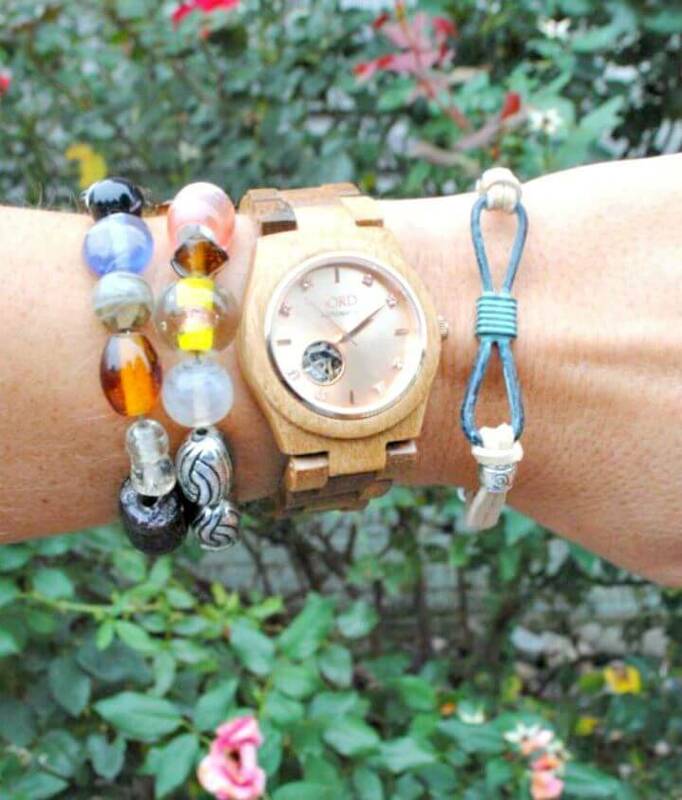 Braid the studded cords to make modern bracelets and also braid the leather cords for vintage-inspired DIY bracelets! 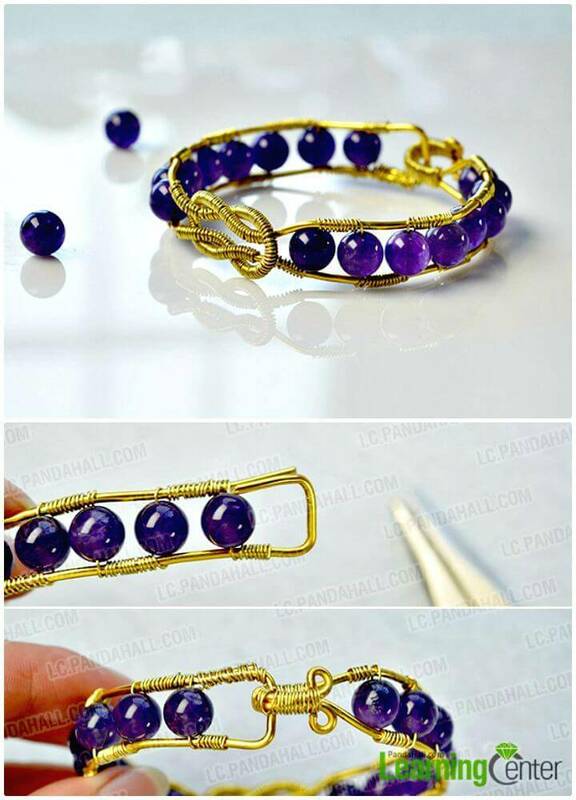 Here you will also be guided comprehensively that what type of jewelry hardware to use for the bracelets for extra durability, charm, and grace! 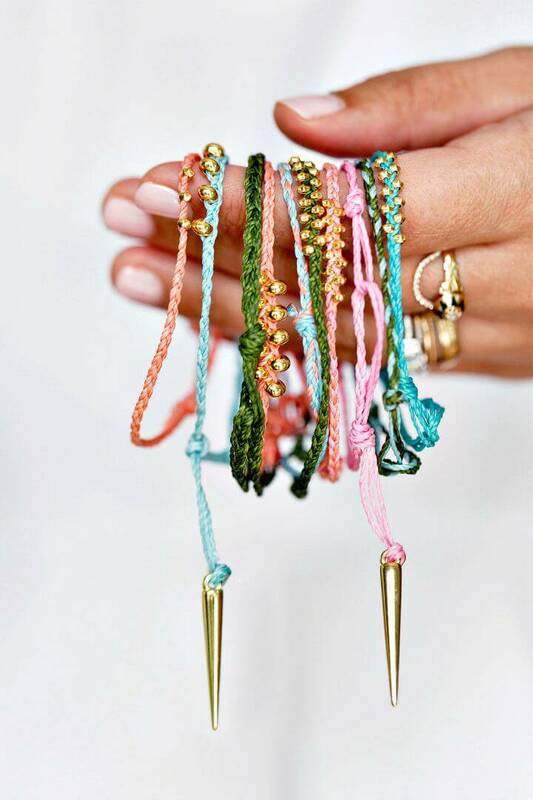 Using lobster clasp, ending cup, button snaps, jump rings, and magnetic snaps would just be the rocking choices to finish your bracelets! 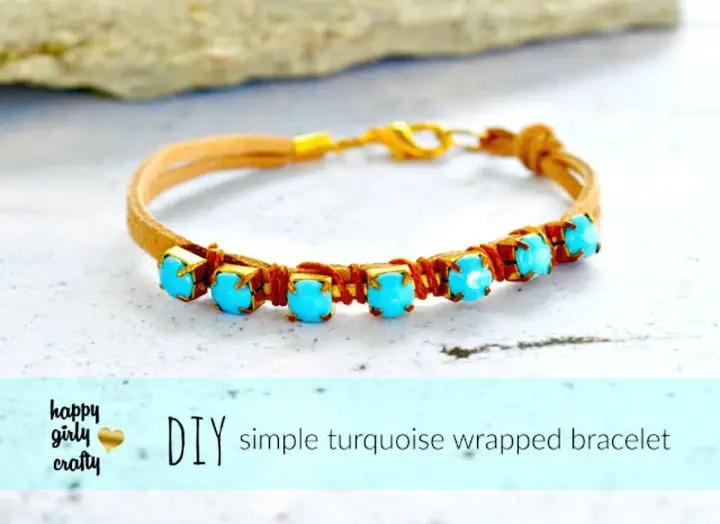 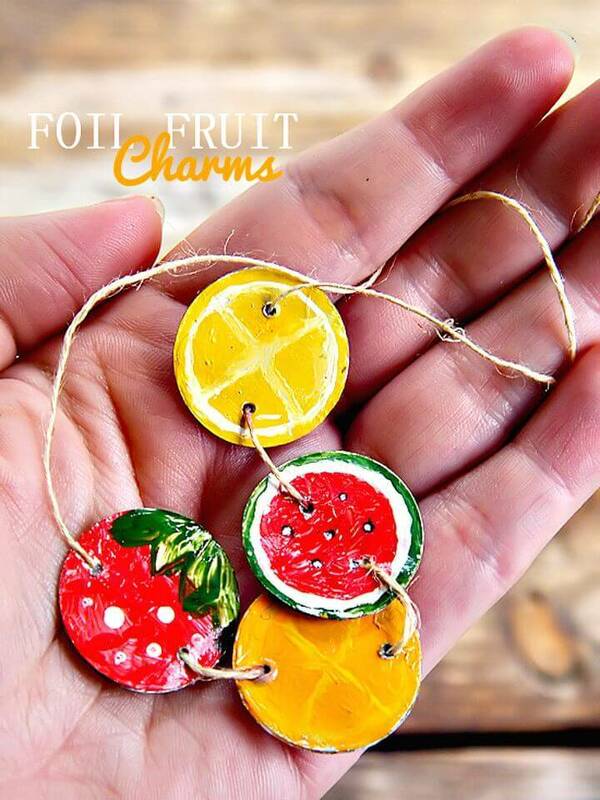 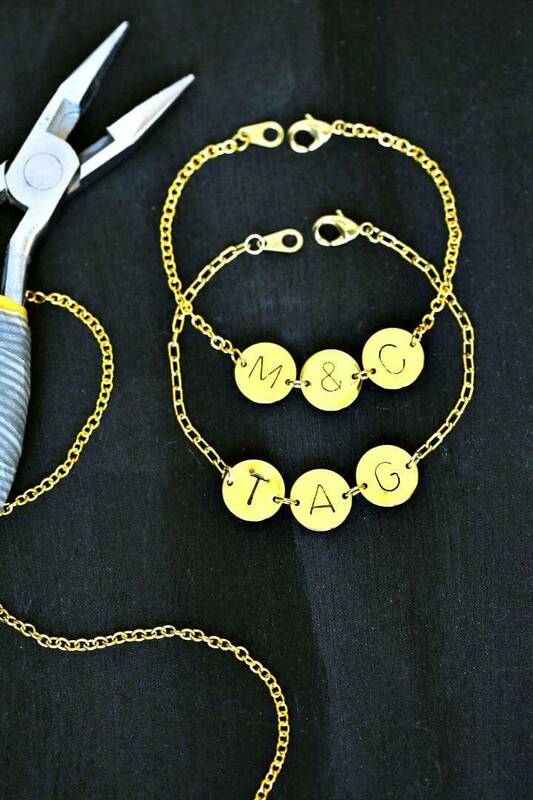 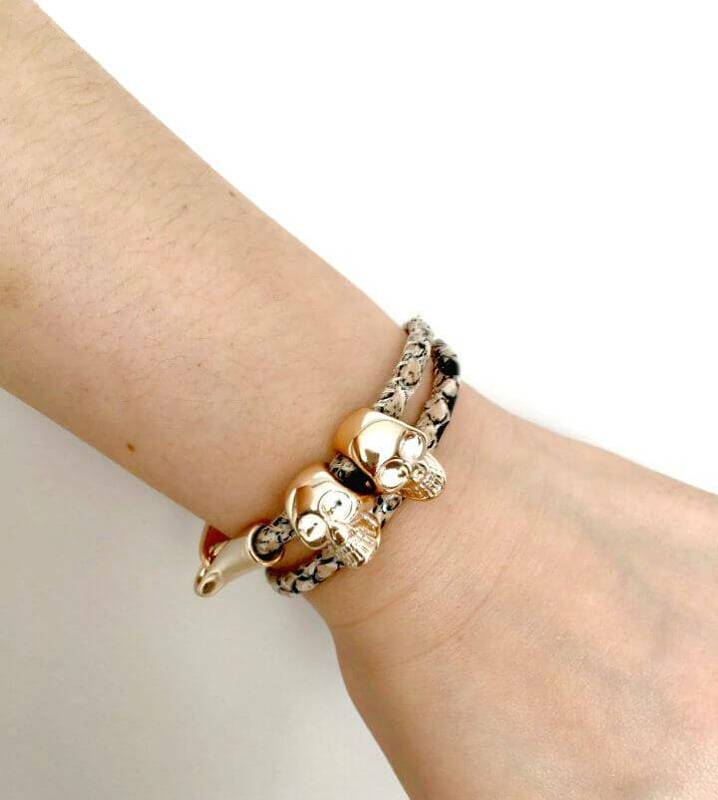 Moreover, you will also be given the tons of ideas about how to use best-looking charms for your bracelets and how to add them to your bracelets beautifully without sacrificing the style of your bracelet! 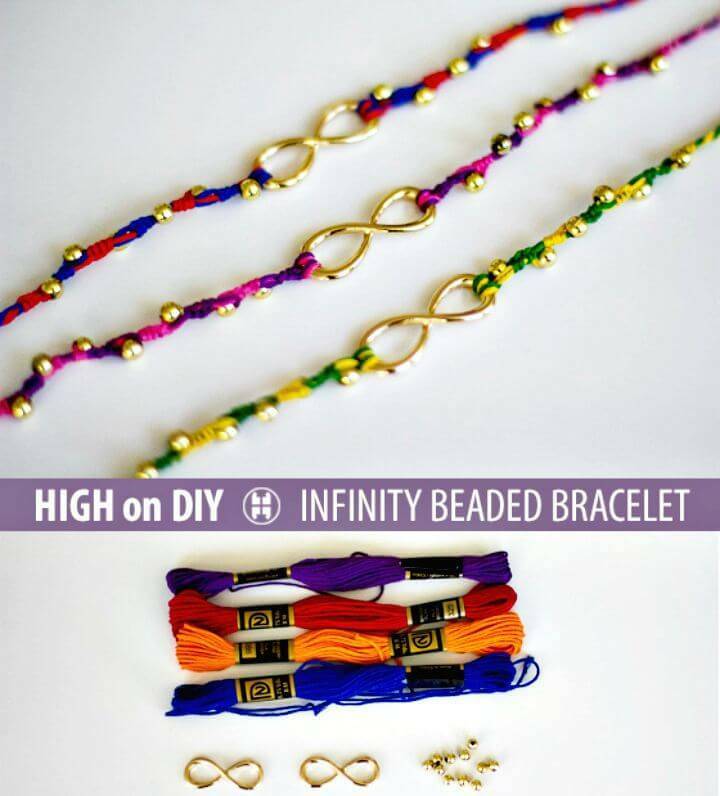 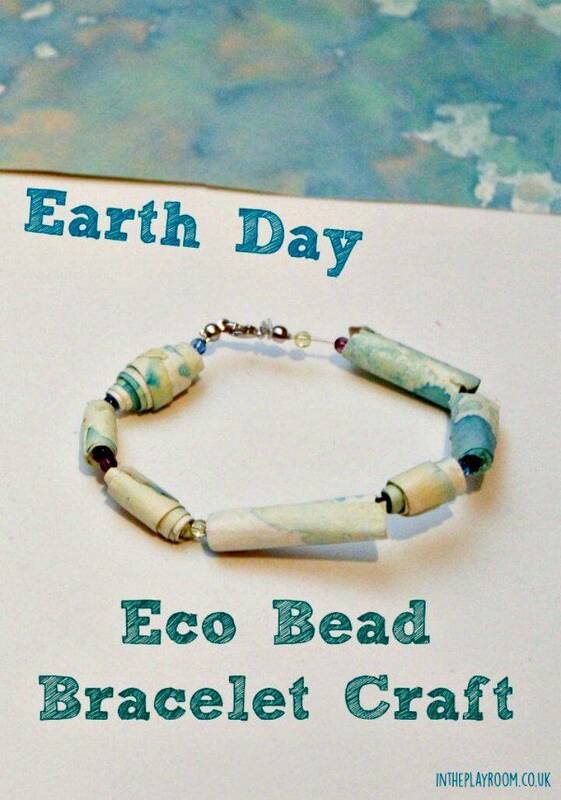 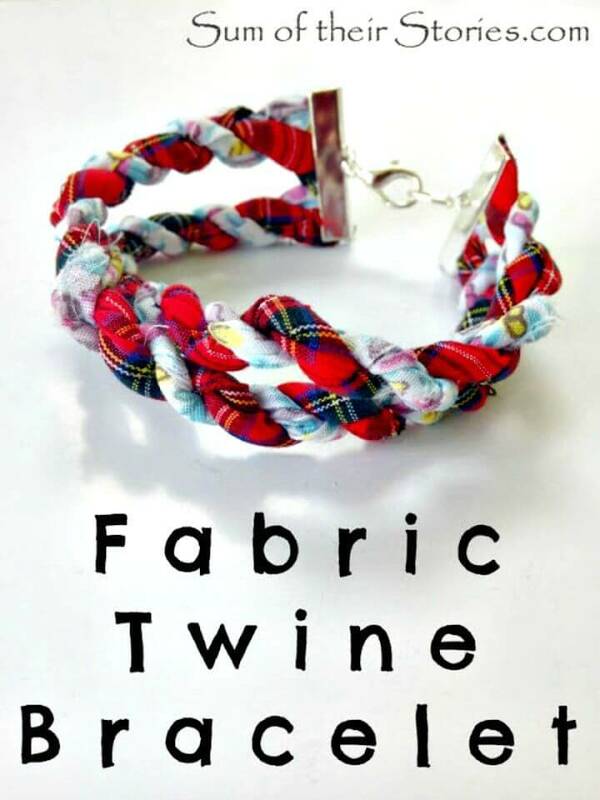 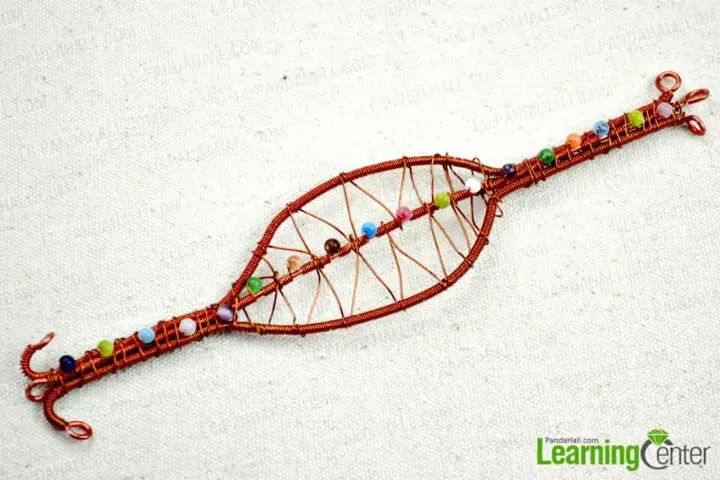 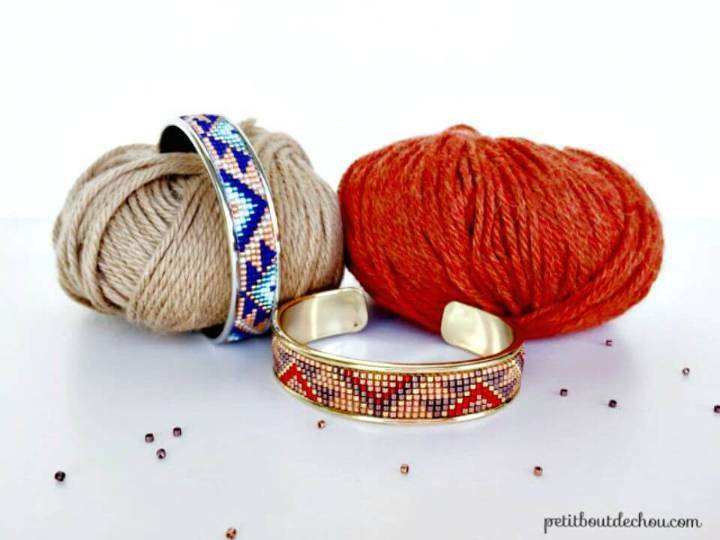 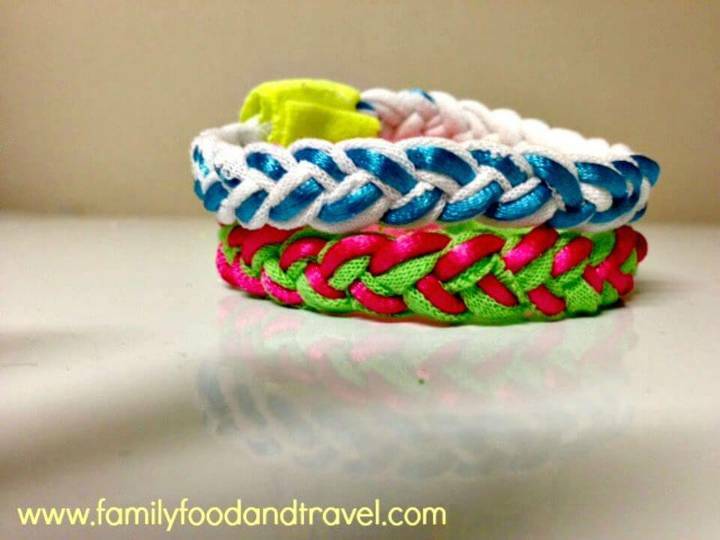 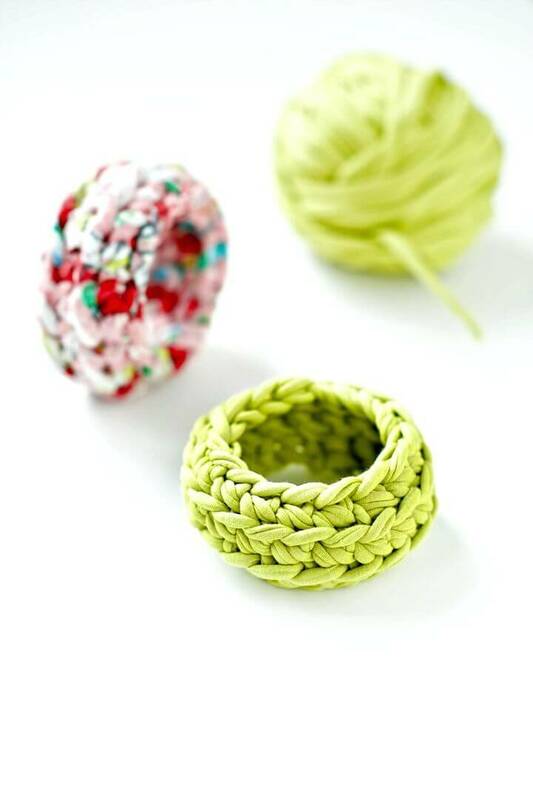 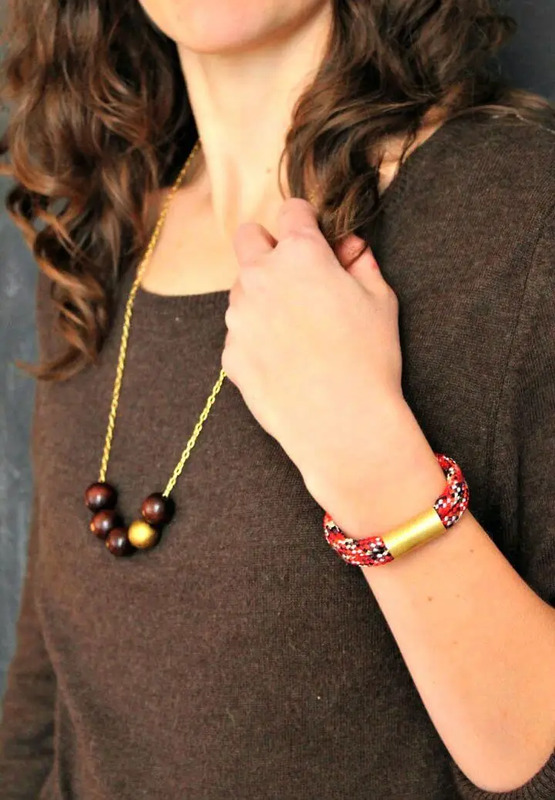 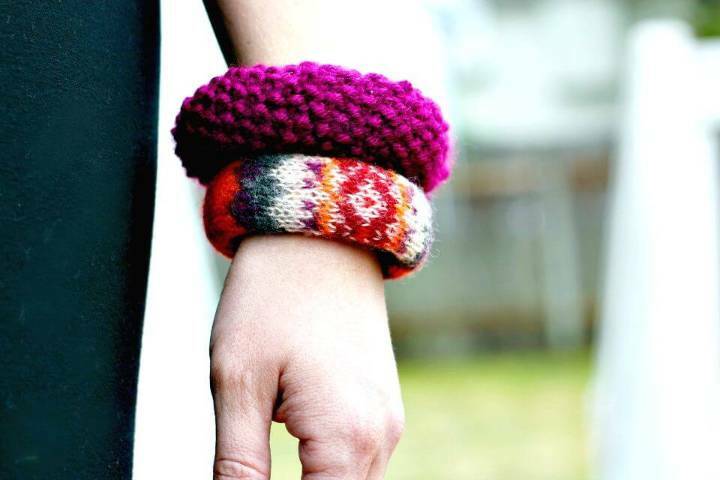 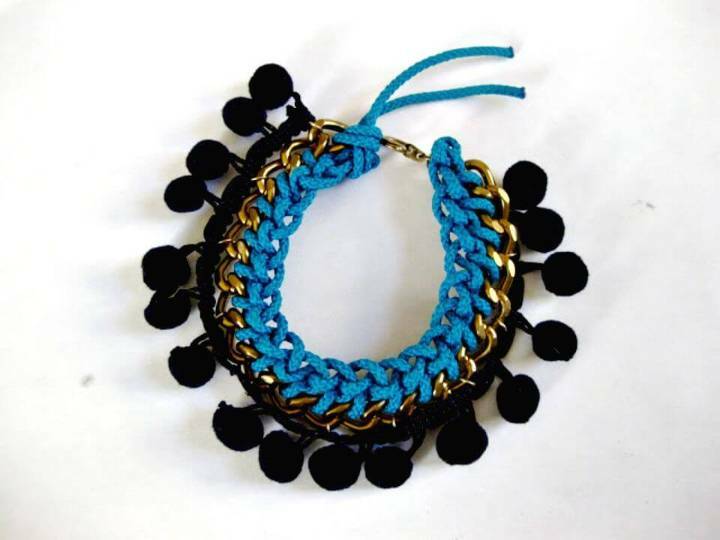 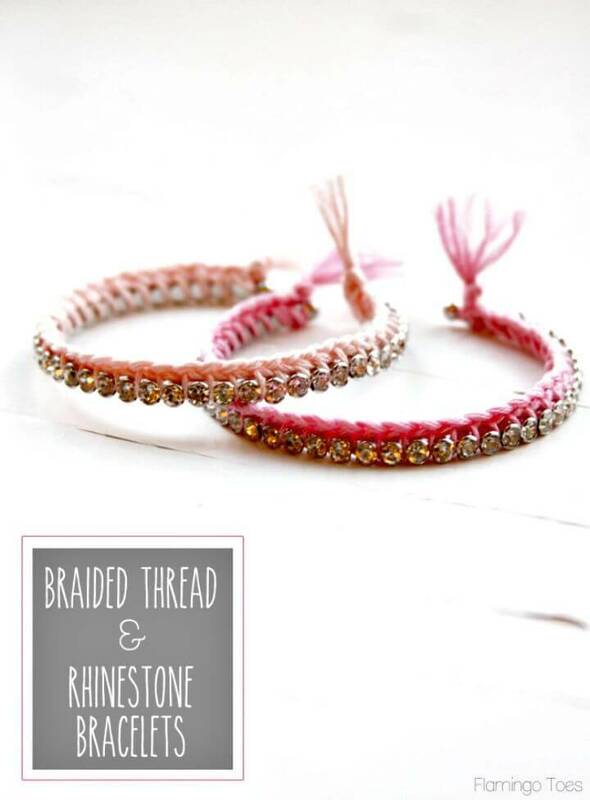 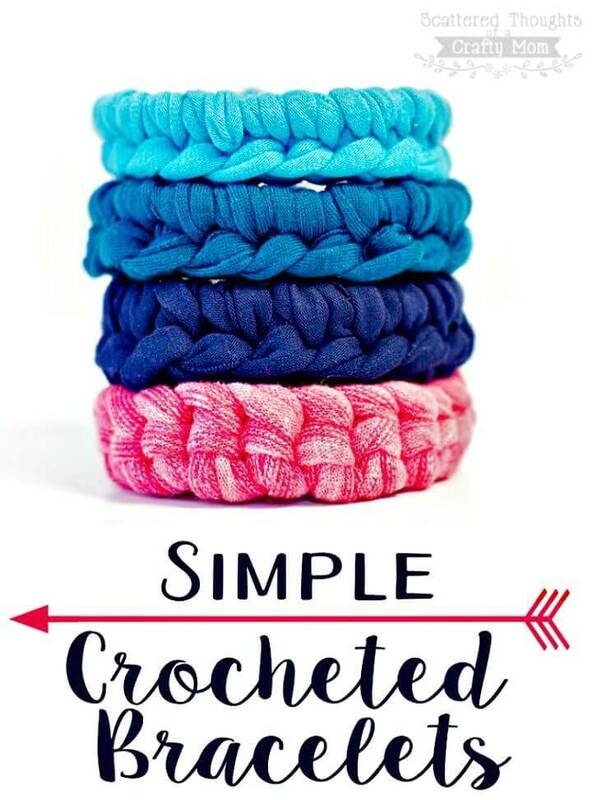 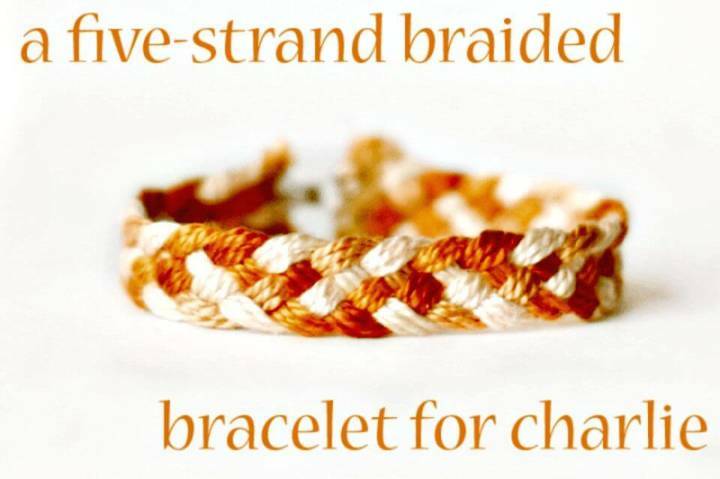 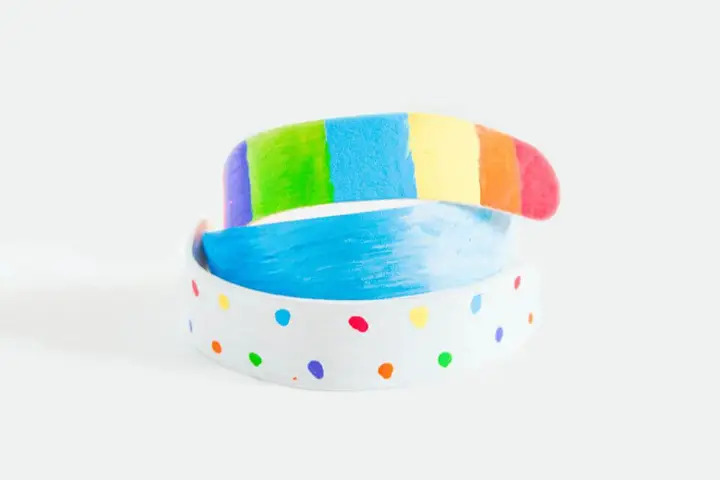 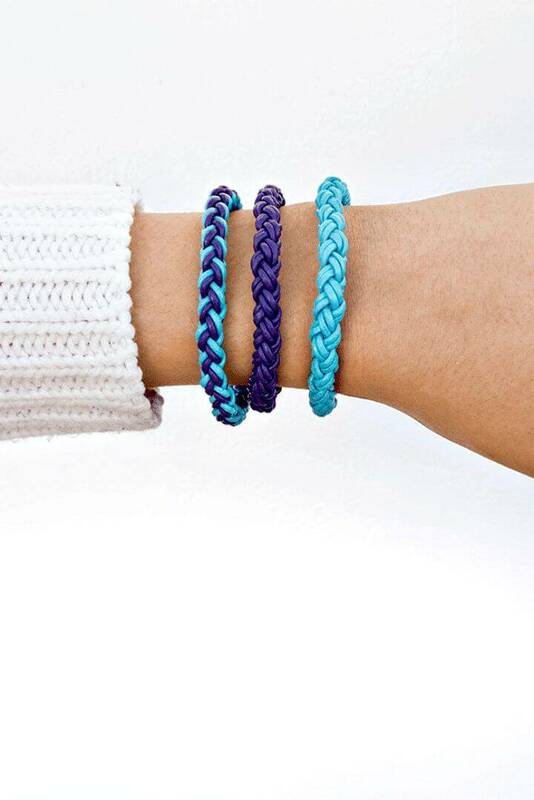 Check out too much more by browsing the entire list and don’t forget to check out the complete visual tutorial and instructions for your favorite bracelet projects which are hidden in the given source links! 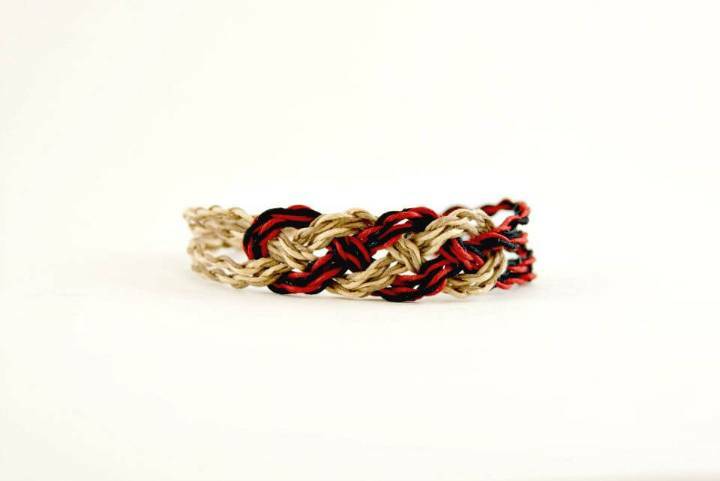 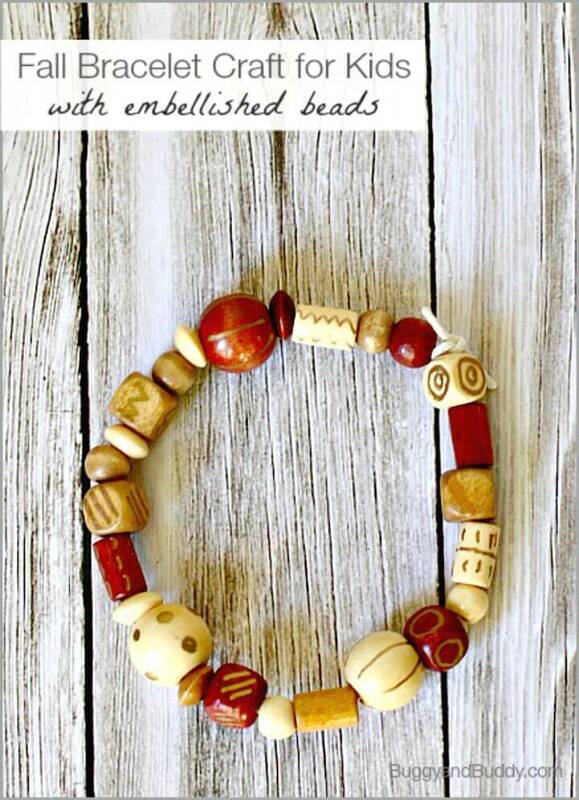 Check out here another dashing design of handmade bracelet that has been done using the red bead and white see beads! 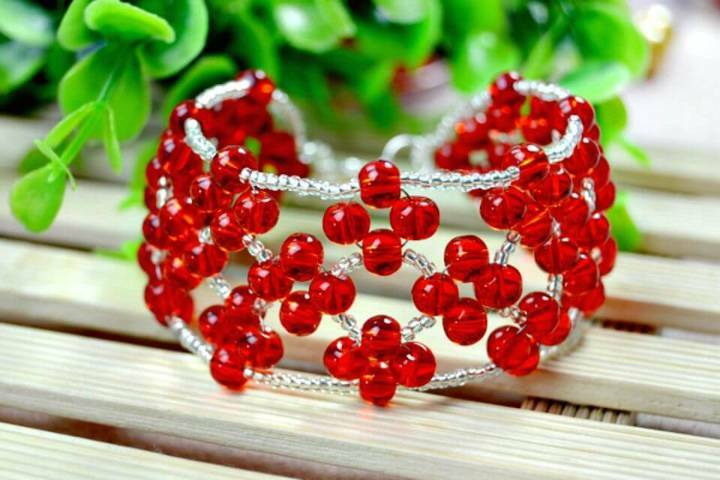 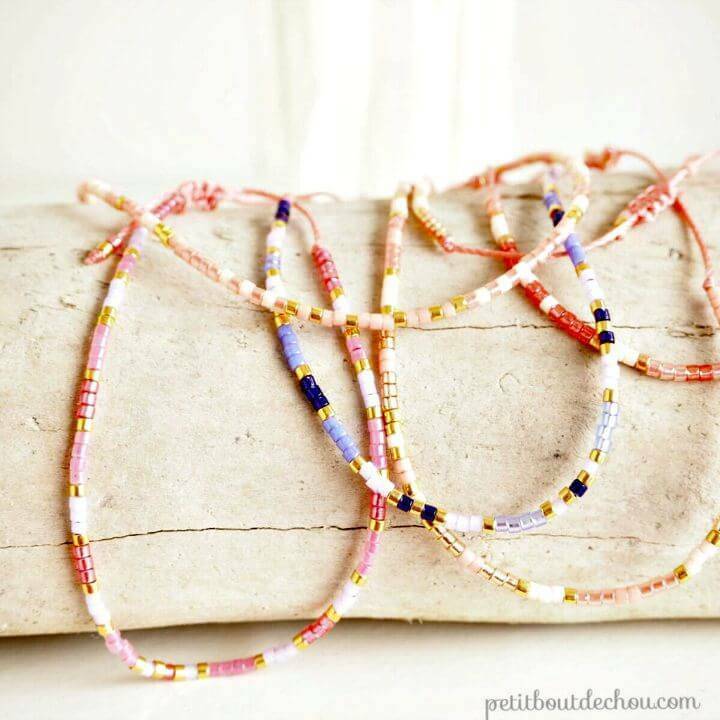 Here mini squares of 4 red glass beads have been interconnected through strung up white seed beads for making a gorgeous looking bracelet that would definitely be a big pleasure to wear around your wrist! 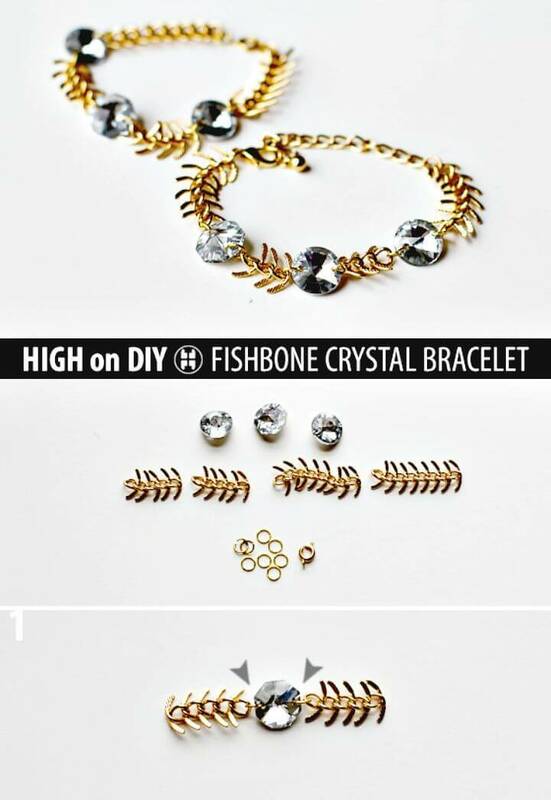 Complete project tutorial here lc.pandahall.